Not all trips have to be full day trips; even going out for just a half day is worthwhile, in my book. There’s just something about disrupting what you’re doing for a little while and then perhaps coming back to it. It’s kind of like you’re at school and you sneak out for 5 minutes to go to the ‘bathroom’; that little pause is sometimes so worth it, right? Well, that’s what I feel about half-day trips. 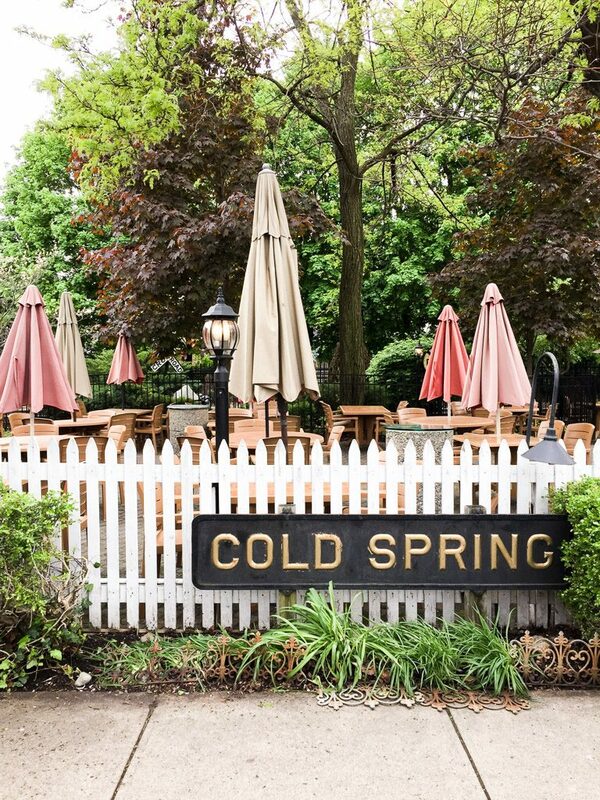 And for our latest one we ventured out to Cold Spring, NY. 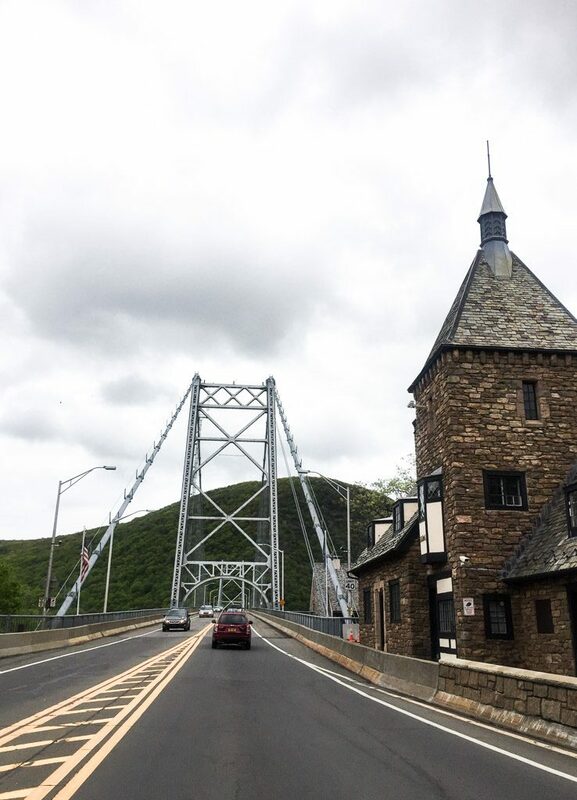 After having breakfast at home early in the morning and relaxing a bit, we decided to break our day a little, called my cousin Jonathan in Brooklyn, scooped him up, and chatted our way on up to Cold Spring. 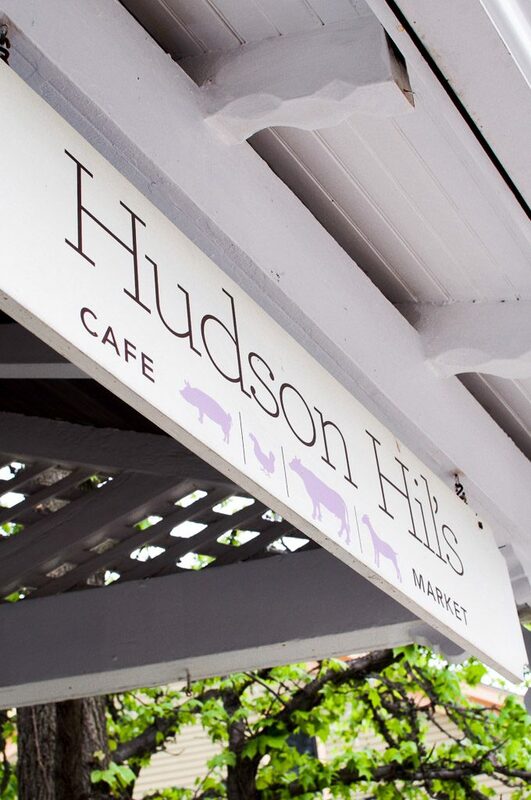 It was about an hour and a half going up via car (Amtrak will get you there from Grand Central in about the same time) and we arrived a little hungry, so off to Hudson Hil’s Café & Market we went. 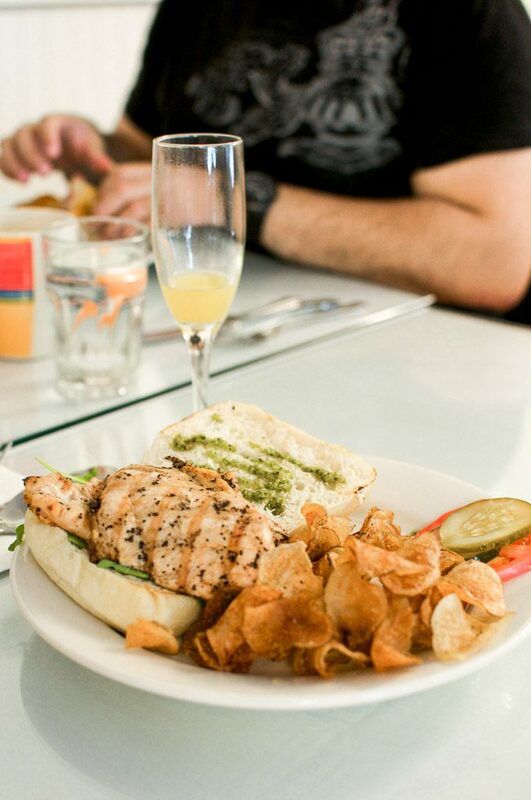 It prides itself on using quality, fresh & local ingredients from the Hudson Valley and has been rated very highly. The place is a little small, so please note that there may be a bit of a wait. When we went we waited for about 25 minutes, so make sure you control that hangry ;). And yes, I enjoyed my mimosa before my food arrived #keepingitreal. All in all, very yummy :). 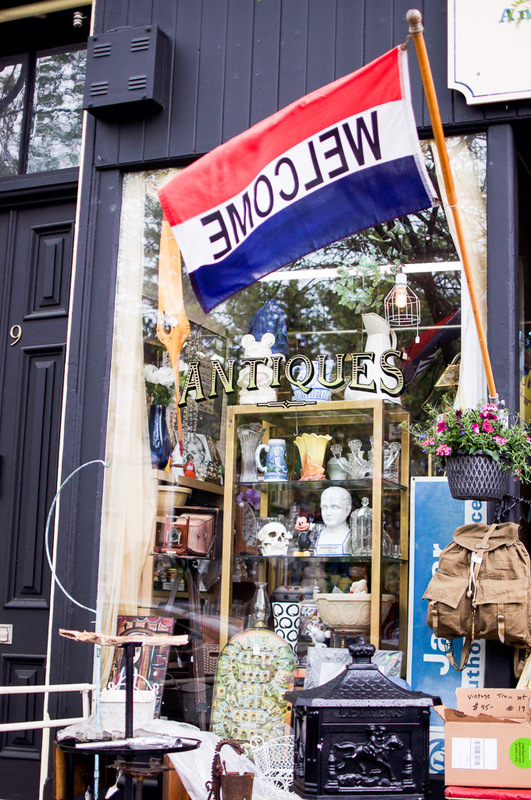 There are so many antique shops in this village, that we actually went into almost all of them! We really wanted to see if there was a difference, and I’m happy to say that they each specialize in their own crafts. 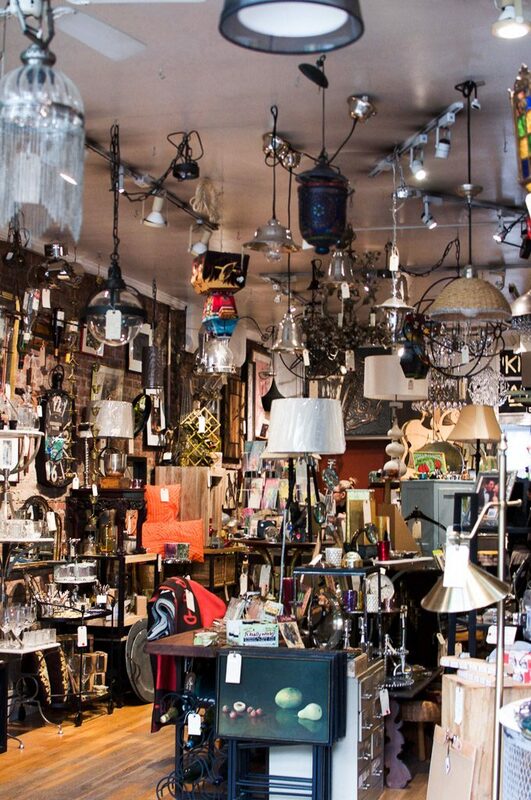 Whether it be furniture, toys, lighting or art, I feel that you’re covered here and are sure to find a little something to bring back! There was this one shop next to Bjiou that was operated by a husband and wife duo who have traveled the world and are both artists themselves. They have a great variety of things and actually love humor (as you can tell from the kitschy signs they have hanging around). I found a little glass tray that sits proudly in my bedroom! 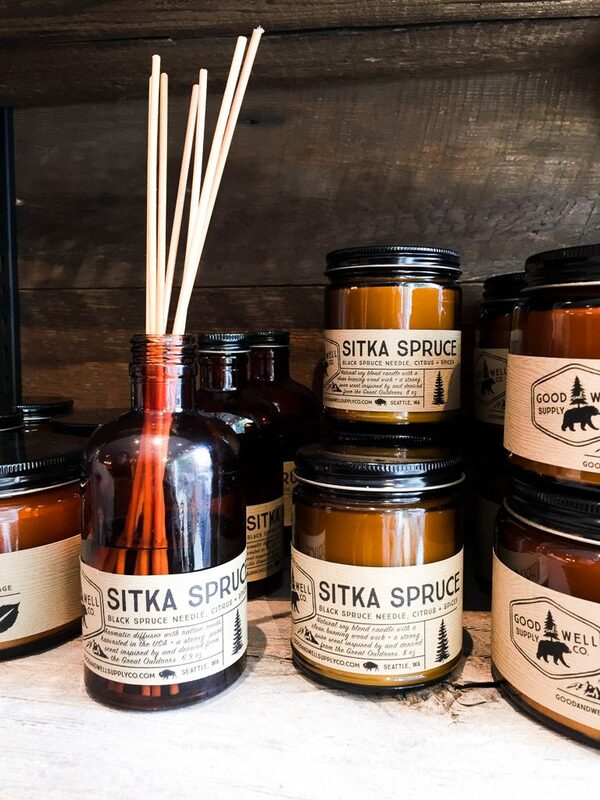 Upon entering, the sweet scent of a hand-poured candle burning in all its sensory-driving glory welcomed us. 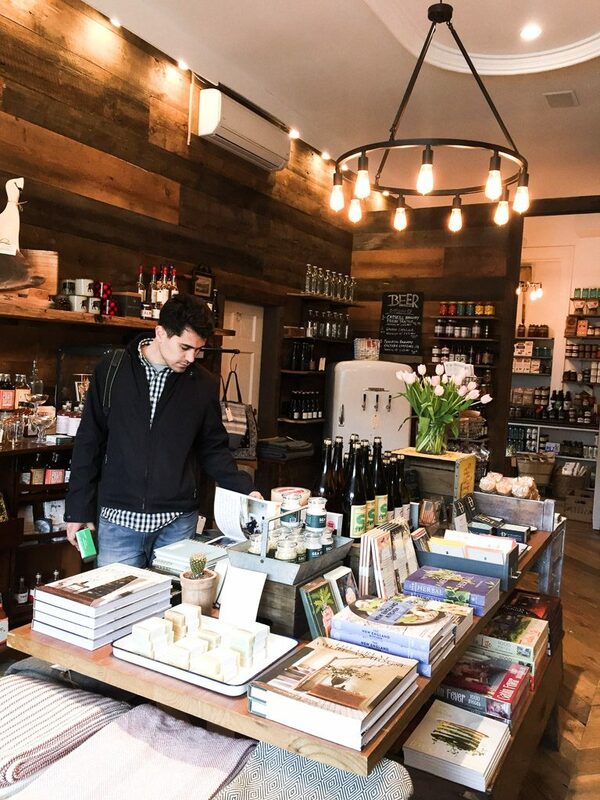 Books, mats, Rifle Paper Co. products, candles and more! Be sure to check out the back where they stash some beverages. 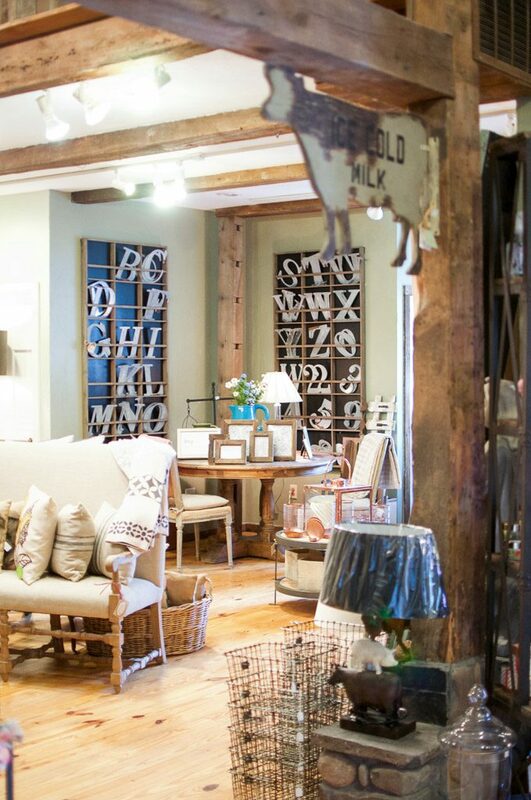 The cute shop supports American-made products and sells locally-made goods! We try to go camping at least once a year and this store had the cutest little things around. I even found something for pulling ticks off of your skin. Listen, when you find one on the back of your husband’s neck one night in your tent, you get rid of that sucker! 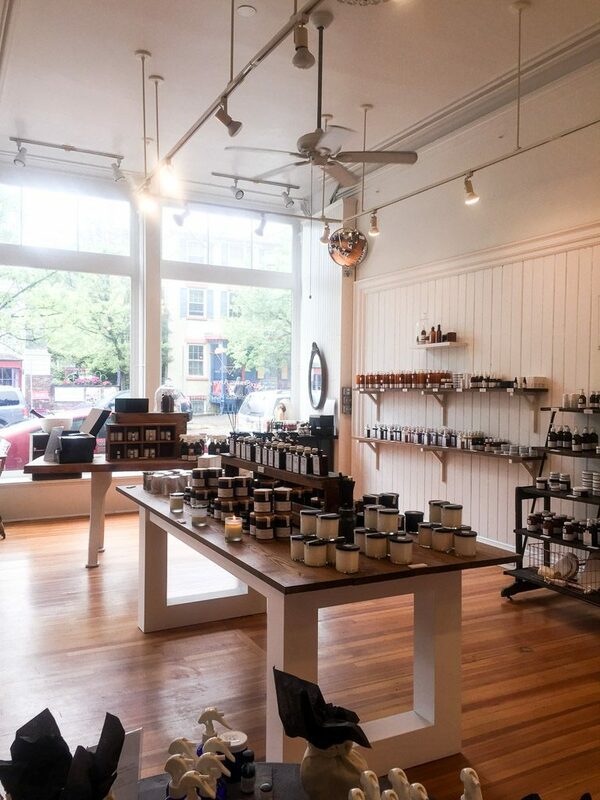 They make their own batches of candles, teas, skin care cleansers, hair treatments and more! They even make some fresh hot chocolate in their little café inside. The place is so aesthetically clean and pleasing. I heard so much about their candles and, after smelling them, had to bring one back home. I ended up getting a Bergamot & Basil scented one from their kitchen collection, which helps cut the smell of strong foods in the kitchen! :). 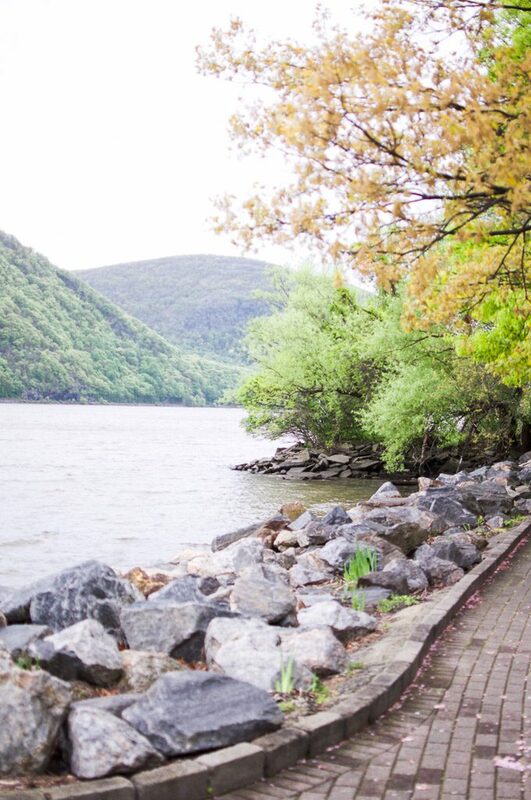 There’s a cute little promenade that looks over the Hudson River. 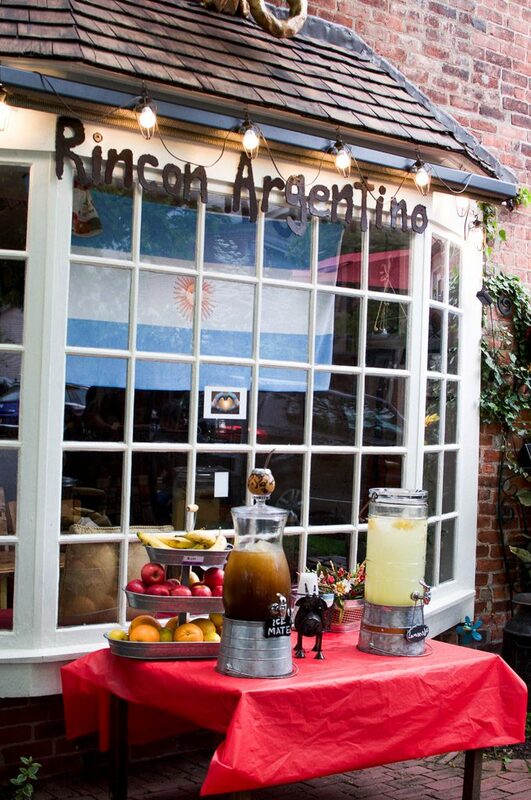 Eat your empanadas and/or ice cream, enjoy the view and enjoy life! – If you are looking to do some activities on the water, Hudson River Expeditions has you covered. 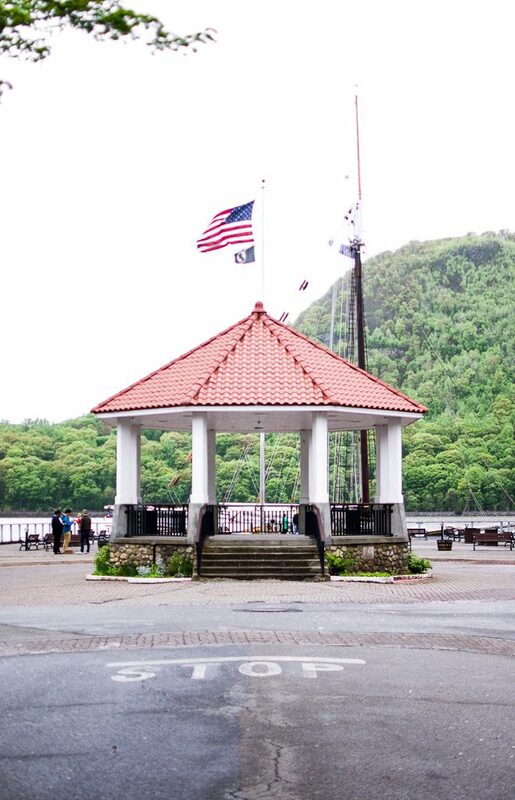 – The West Point Foundry allows you to hike, take in some beautiful scenery and even gives you the opportunity to take your own tour to learn more about how it played a major part in the American Industrial Revolution. 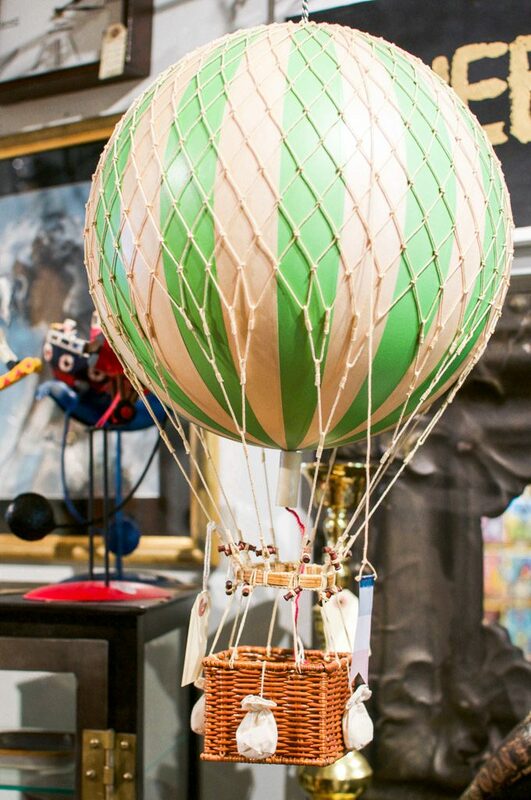 Looking for a weekend of R&R, maybe a little adventure thrown in there, too? 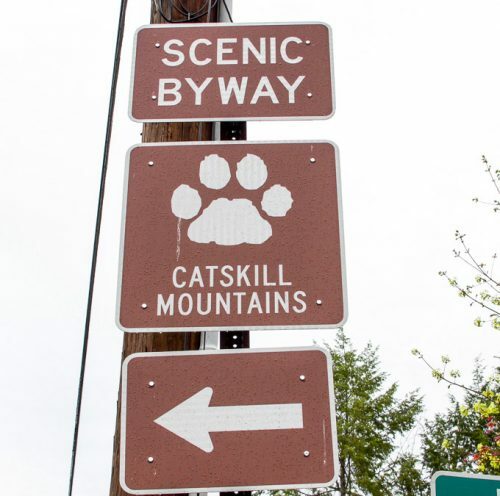 If you said ‘yes,’ I’d like to welcome you to the Catskills in New York! 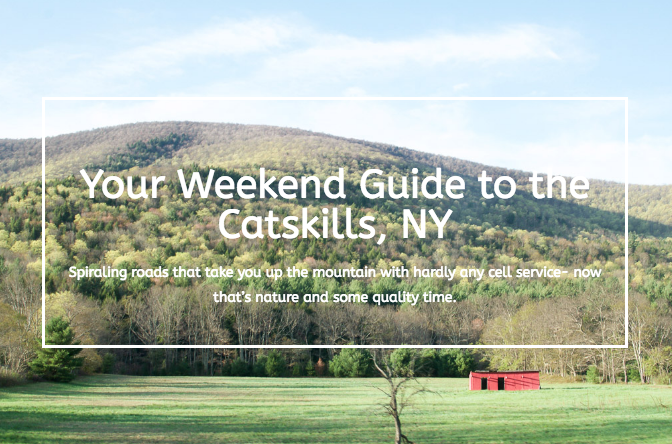 Now, the Catskills is actually quite huge, so I’ve narrowed it down to the Phoenicia, Hunter, Tannersville and Saugerties area. Ambitious, I know ;). Coming out of the colder winter months in NYC, we have been itching for some warmer weather to go out and enjoy some nature up in the mountains and really enjoy being ‘al fresco.’ For our latest getaway, we retreated up to the Catskills in NY (about a 3-hour drive from Queens) and, while having no cellular service for a few days initially freaked me out, it was the detox and quality of life that I actually have been in desperate need of for a while now. 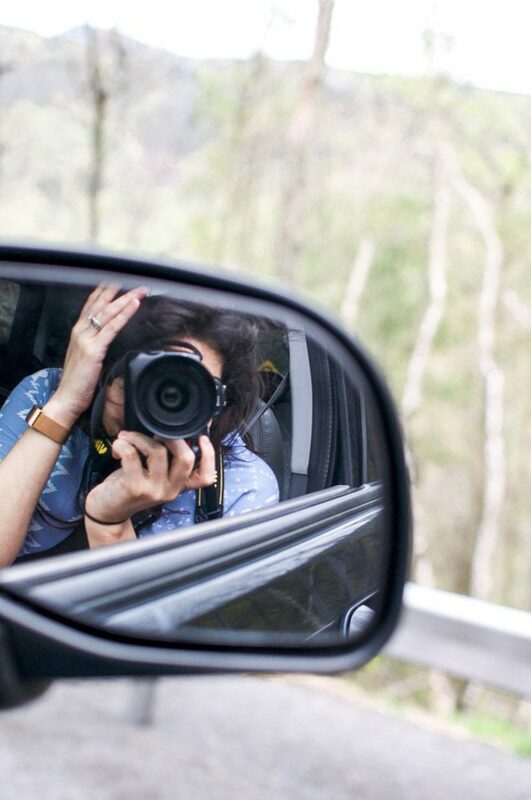 "While we did drive quite a bit, we didn't mind it, really; all of the roads were pretty much scenic all the way. We rolled down our windows, inhaled in deeply and had smiles so big, the break and fresh mountain air revitalized us!" 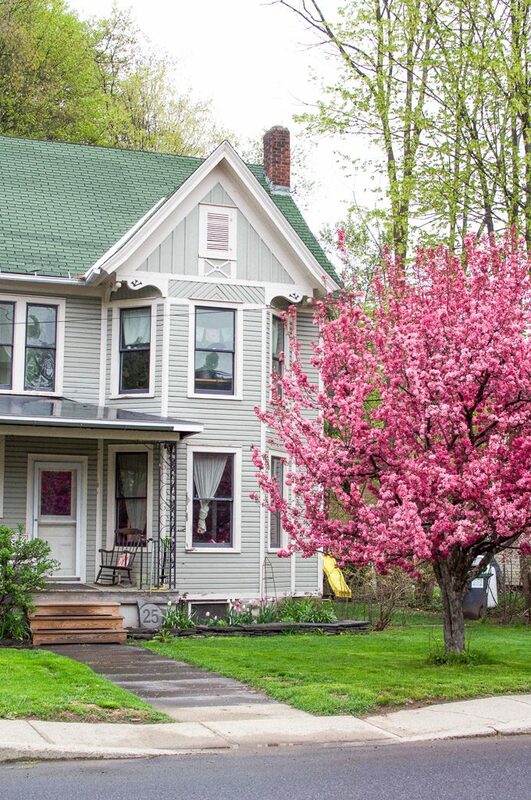 With so many places to stay in the Catskills, The Emerson is a unique and special find. 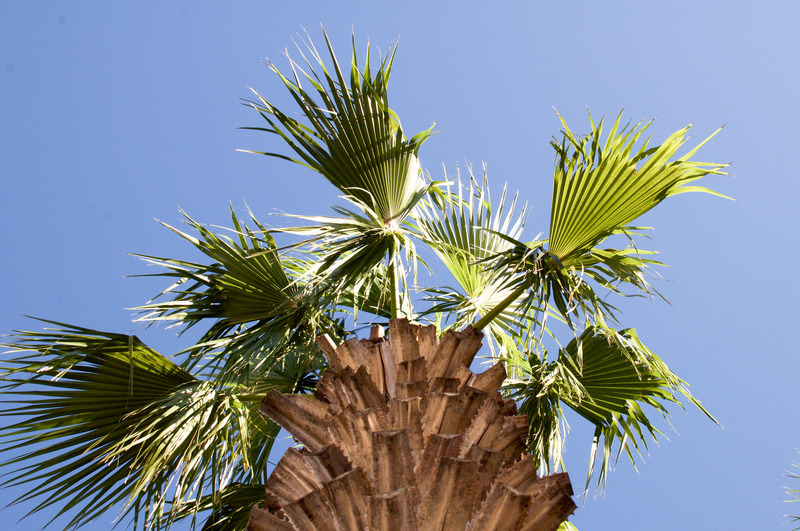 Named after the famous poet Ralph Waldo Emerson, the resort is committed to delivering what Emerson himself believed in: that nature is part of man and that we must harness its restorative properties. Their walls tell stories through unique, beautiful art, including quotes from Emerson himself. 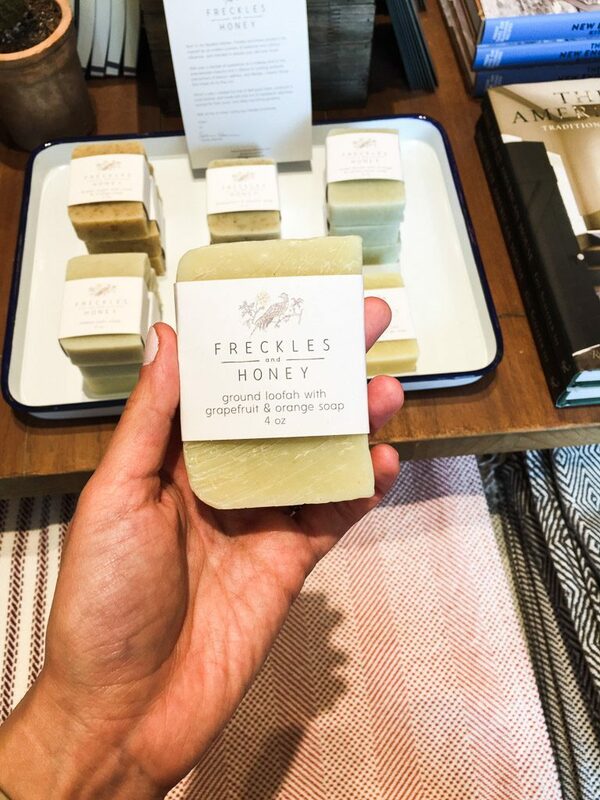 Not only are they inspired by nature, but they are committed to preserving the environment by being a model for future sustainable hotel development. In our search, we were looking for a place that would offer a relaxing setting, was close to a body of water, had a great view of the mountains and provided amenities that would make our stay that much more comfortable for a truly relaxing weekend away. 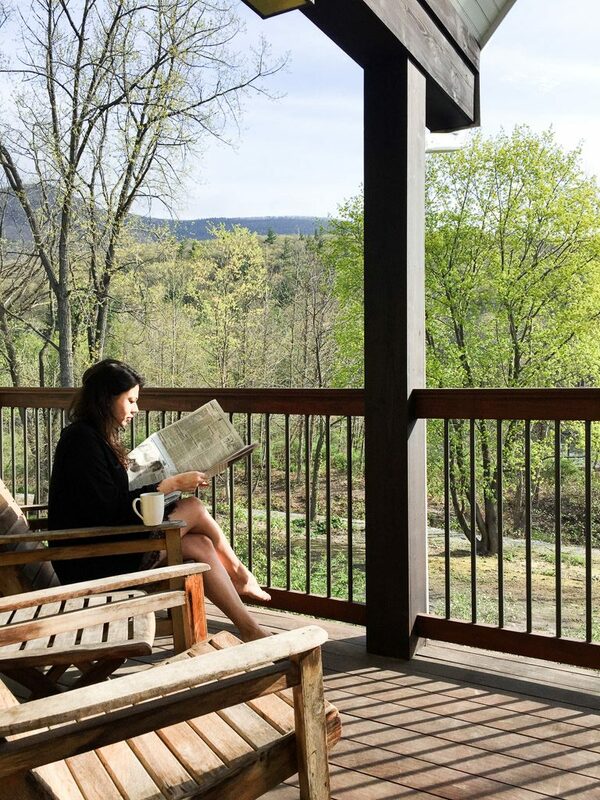 The Emerson Resort & Spa was so gracious in hosting us and it worked out wonderfully because their location in the Catskills is central enough to enjoy activities nearby but also nestled far enough to make you feel like you’re really on a true escape. 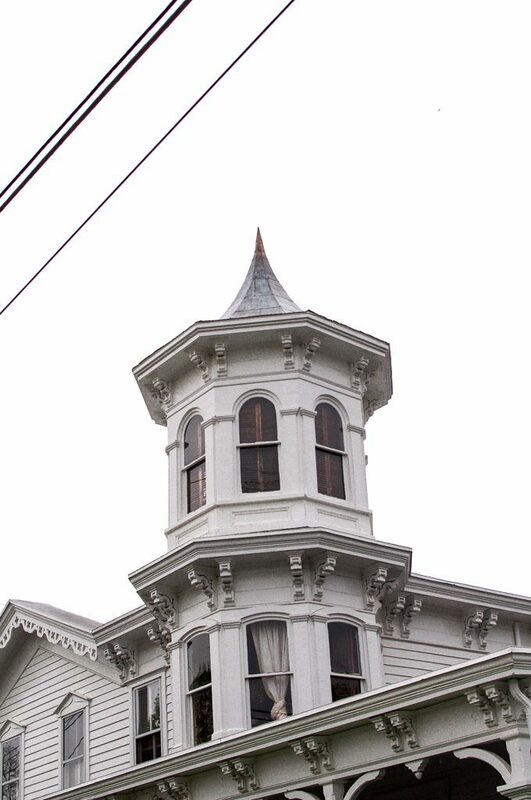 The property itself, though, holds so much to discover. Ask the super friendly and very knowledgeable front desk to help you book a beginner’s guide to fishing, how to pitch a tent, where to find a local trail that fits your experience or ask what time the bonfire starts! 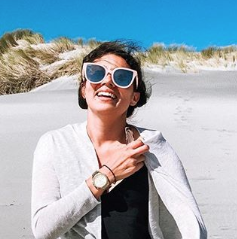 It is perfect for anyone looking to get away; whether you’re flying solo, coming with a friend, or bringing your family on up, you will be sure to enjoy your time here (shall I mention that even some celebrities have stayed with the resort in the past year?). 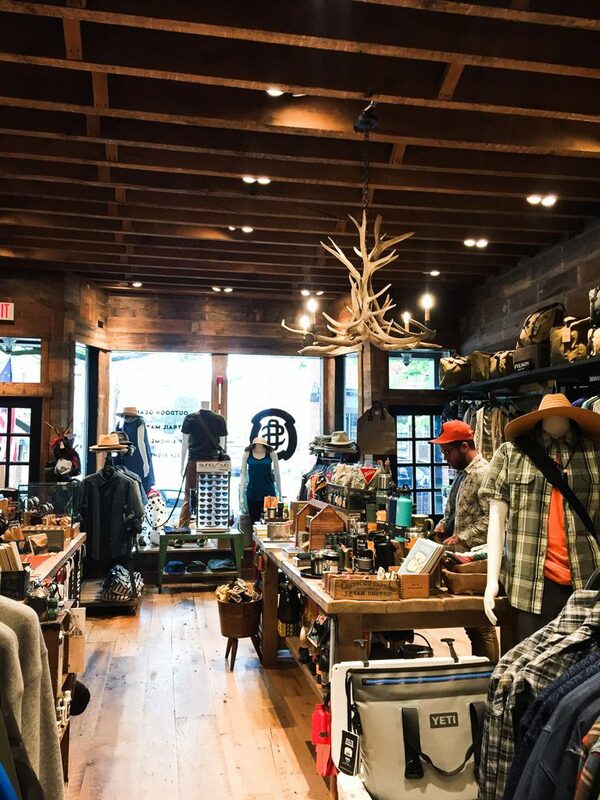 Year-round, they offer great savings packages that will be sure to peak many interests– from babymoons, fly fishing, a girl’s getaway to even a mushroom walk! What I love the most about this hotel, beyond their super comfortable rooms, is that they are truly committed to making the property such a valuable experience. 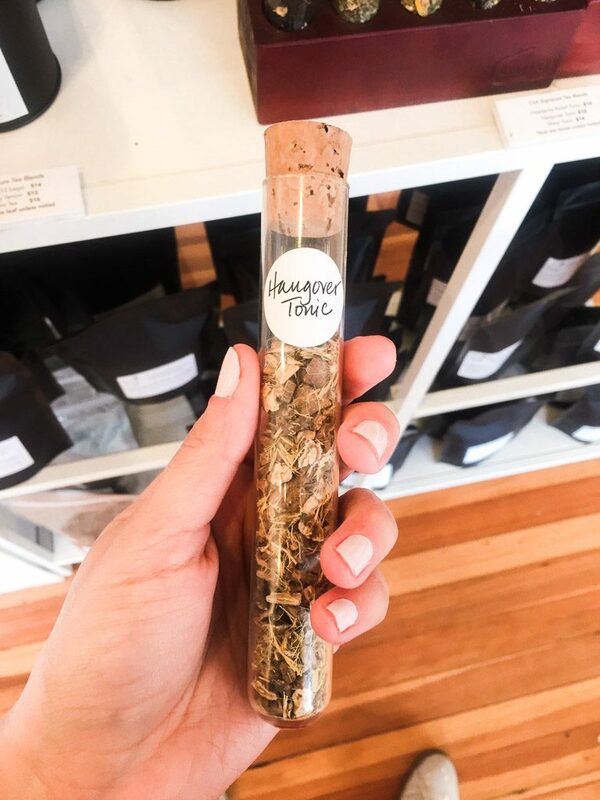 They have a shopping village attached where you can get some local Catskills-made goods, like Ginger Tonic (LOVE and perfect for keeping that immune system up and at ’em! ), clothing, home décor, gifts for the kids, and much more. 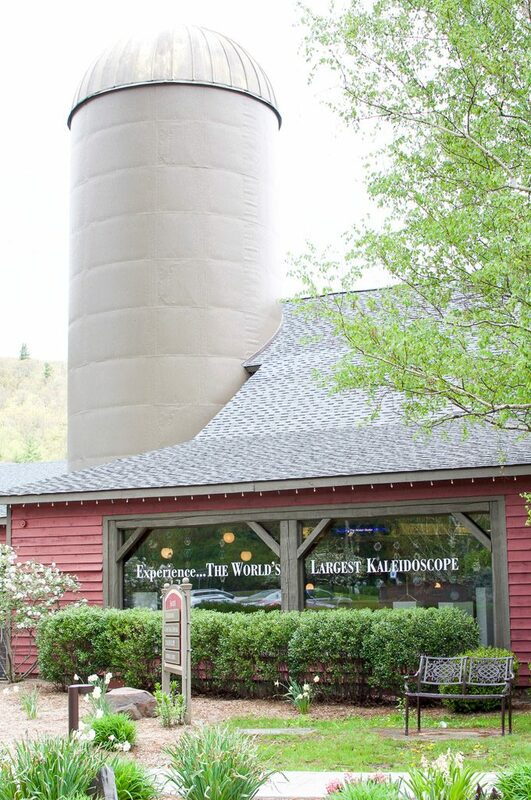 Originally, there was a dairy barn silo located on the property and, instead of knocking it down, they turned it into the world’s largest kaleidoscope where you can enter and watch a show. 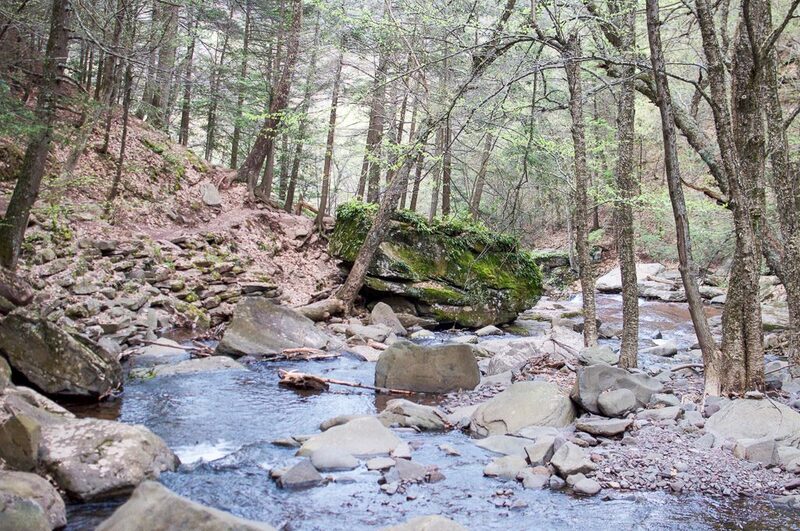 Looking into summer, they are creating seating around the Esopus Creek where a brick oven will be installed and fresh pizza will be made as you watch the sun set. Magical? Yes! Feel the morning sun kiss your cheeks as it rises while on your balcony. 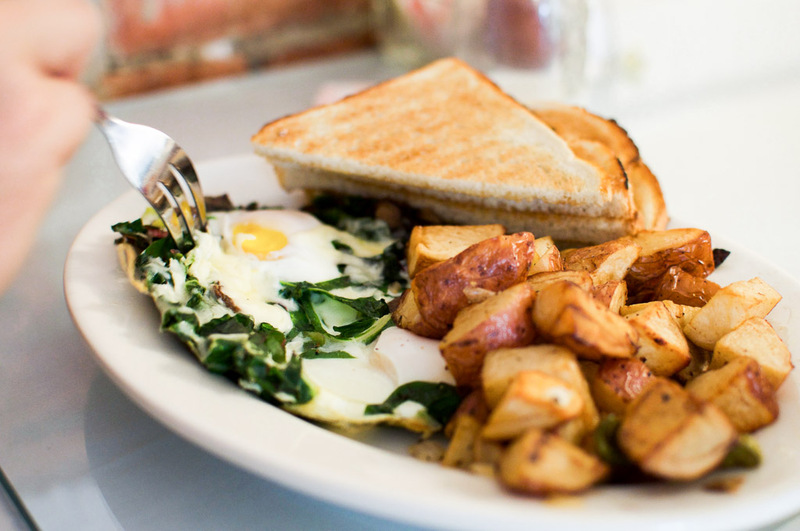 Enjoy breakfast at the property’s onsite restaurant, Woodnotes. Comfortable rooms; ours featured an air-jet tub (LOVE! 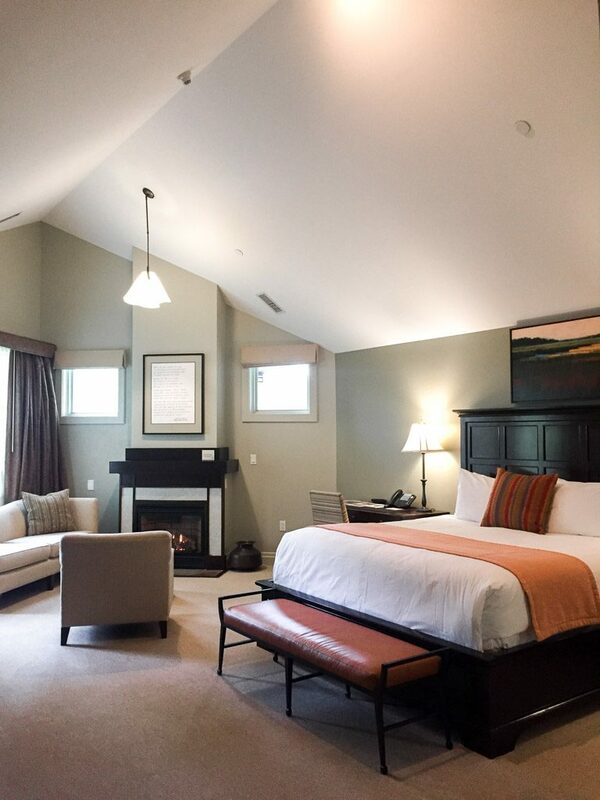 ), a swiss rain shower, a king-size bed, and a fireplace to keep you warm. There is so much more that the resort has to offer (gym, sauna, pool, etc. ), but what makes them even more special (in my eyes) is that they encourage you to come in, even if you aren’t an overnight guest, and take advantage of some of their facilities and services! 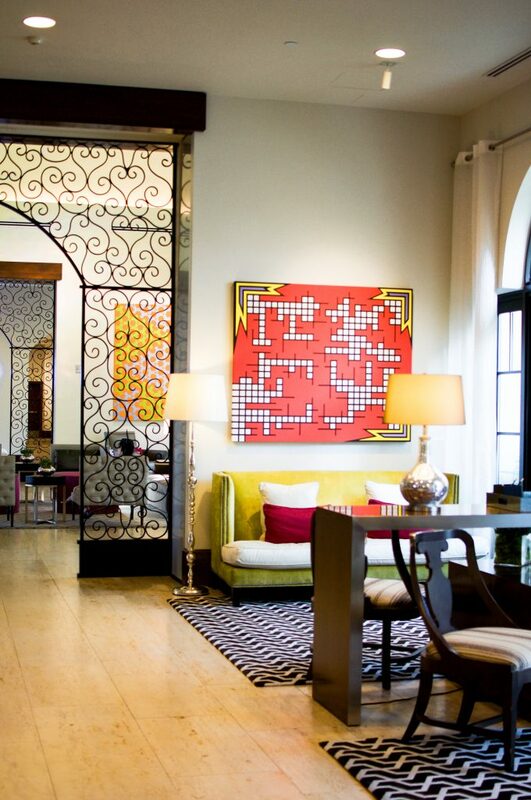 Bring up your laptop and go into their beautiful study and enjoy free wifi while you sip on a cocktail from the Woodnotes Grill. By the way, their bar has master mixologists so ask the bartender to make you something special 😉. 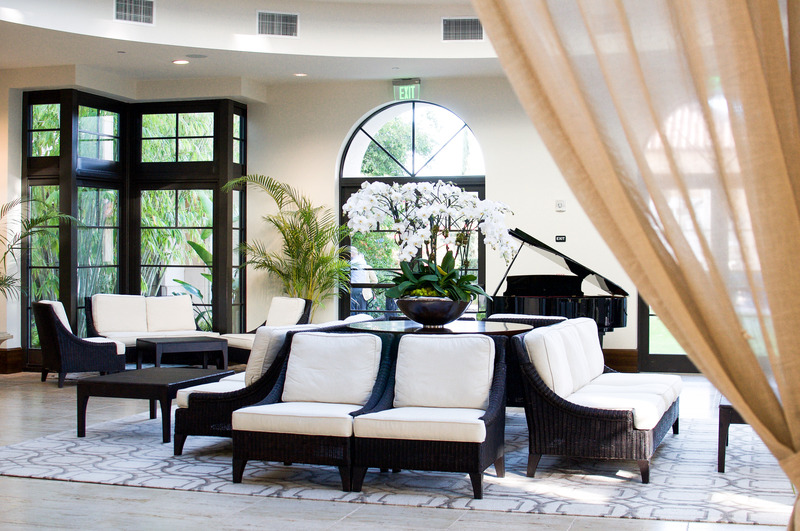 Schedule a massage or enjoy a mani-pedi– either way, you will walk into the spa and instantly feel relaxed. All in all, it was a great experience and can’t recommend it enough! 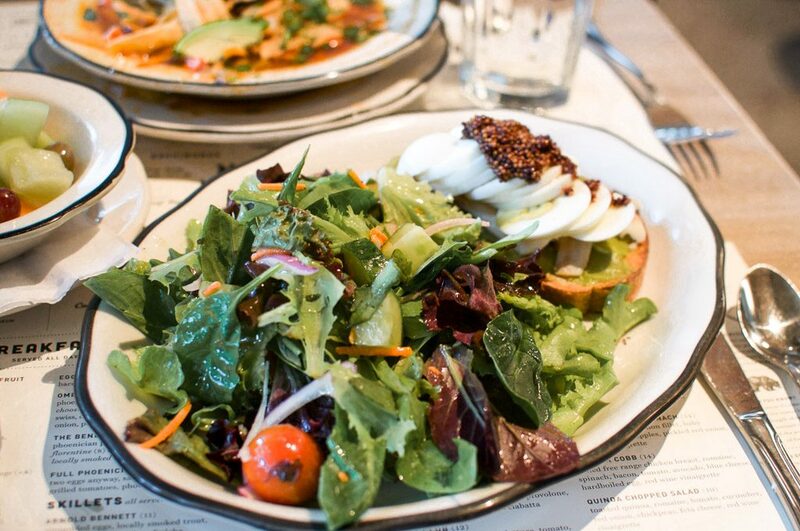 Tavern 214: Farm-to-Table with American Fare. They are open late which makes it convenient if you’re out exploring and need to freshen up before dinner. 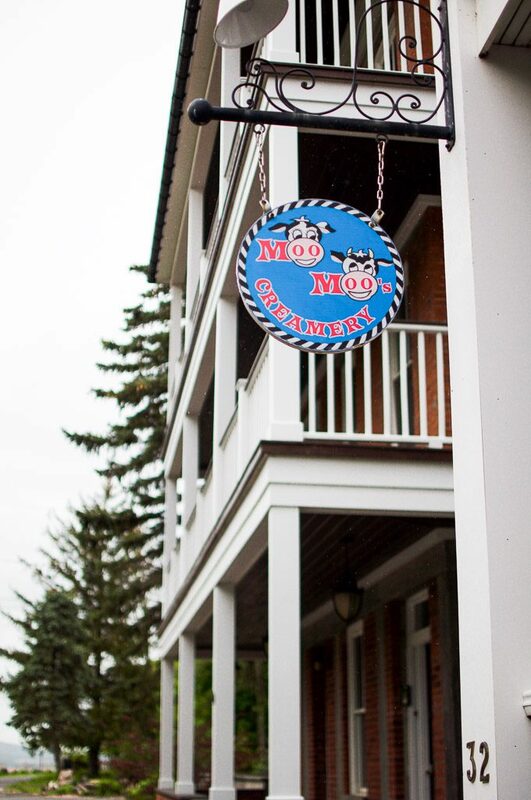 Try their famous mac & cheeses or pesto chicken sandwich! 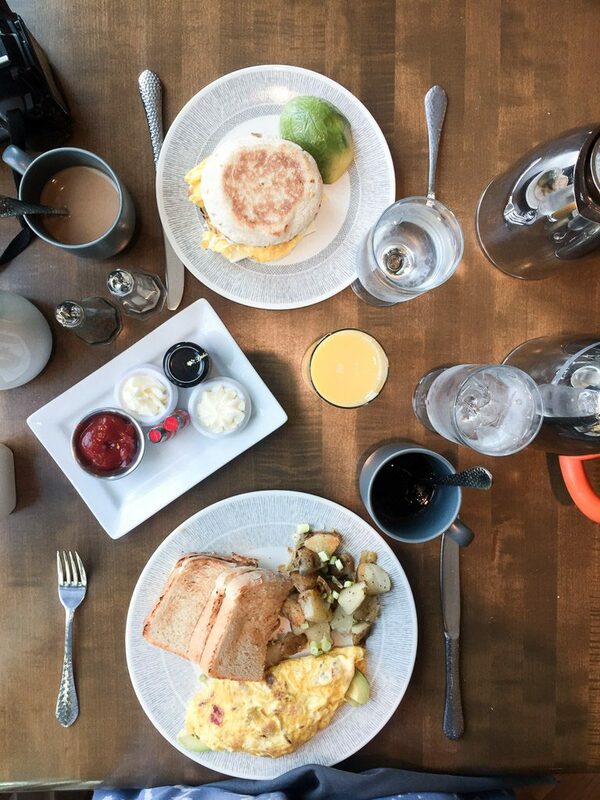 Woodnotes Grille: The restaurant is beautiful and spacious, with a warm feeling for breakfast and special lights that make you feel like you’re dining under the stars at night. 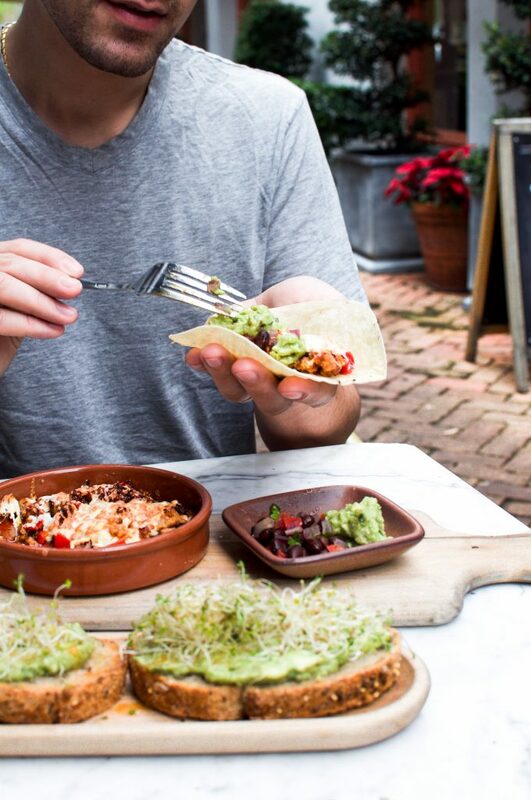 Attached to the Emerson Resort & Spa, the food is made with locally-sourced ingredients and has an outdoor patio for seating, overlooking the Espous Creek. 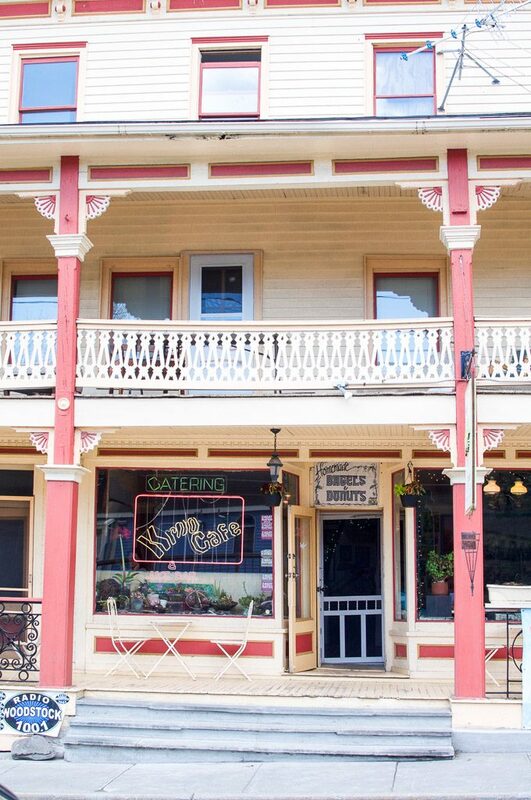 Mama’s Boy Catskills: While we didn’t get a chance to eat here, I heard that Mama’s Boy Burgers was labeled as ‘the Shake Shack of the Catskills.’ They also have Mama’s Boy Pizza! And ice cream. 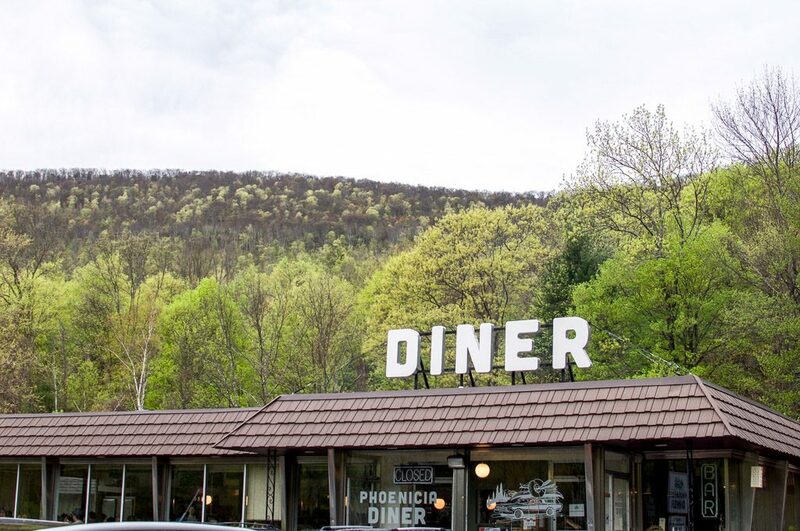 My husband’s inner child rejoices :D.
Phoenicia Diner: This diner was built out in Long Island, New York, picked up, and placed in the middle of route 28- nifty, right? We’ve been coming here for years and recently it’s gained quite the popularity. I always, always, always get their tortilla soup as it’s the best I’ve ever had. Expect a wait time for seating, but they have a cute little bar attached that allows you to sip while you wait :). 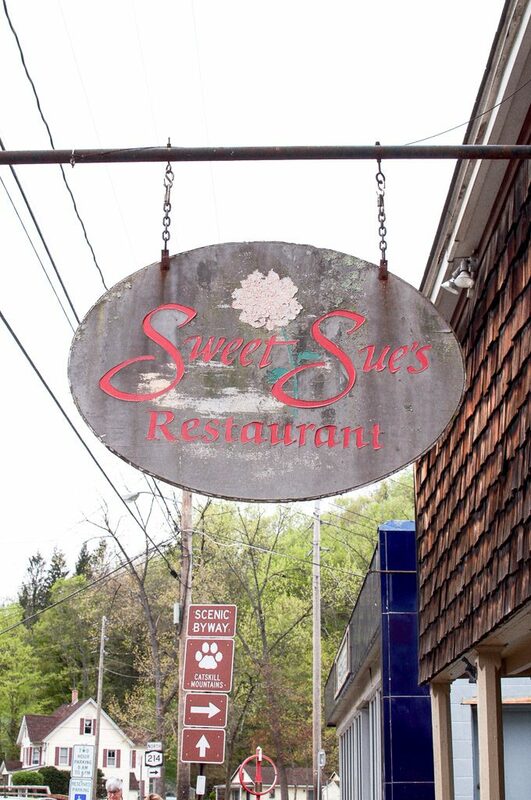 Sweet Sue’s: As you may know, my husband is quite the food critic. 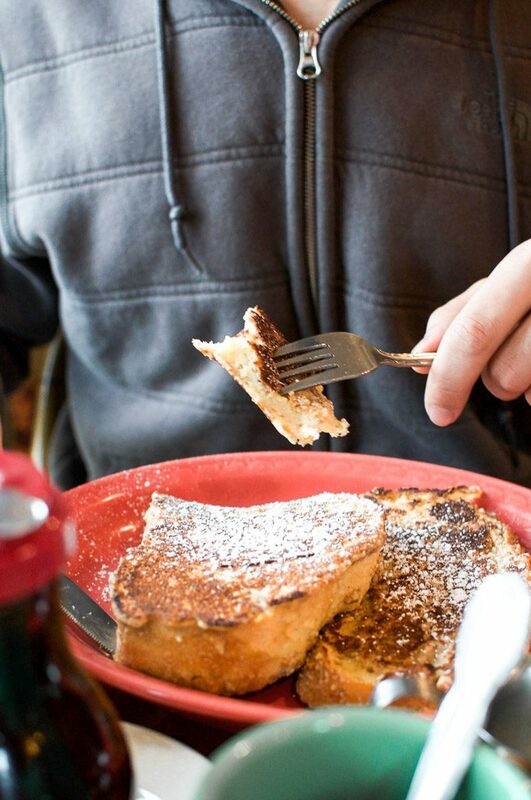 But, for the first time in french toast history, I heard him say “there is just no way to improve this, it’s perfect, absolutely perfect.” He, my friends, was referring to their pecan crusted french toast. 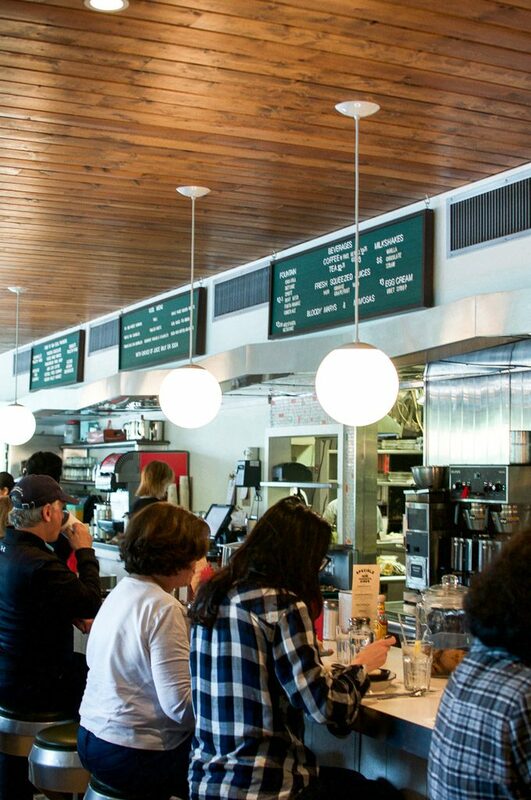 I loved their goat cheese omelette and Sue’s got quite the variety of pancakes to offer. Get here early as crowds can start to gather. Bon appétit! Maggie’s Krooked Café: First off, let me start by saying that Maggie is so fun and has a personality that is so contagious! We had the pleasure of meeting her and learning that she is originally from Brooklyn (Brooklyn in the house!). 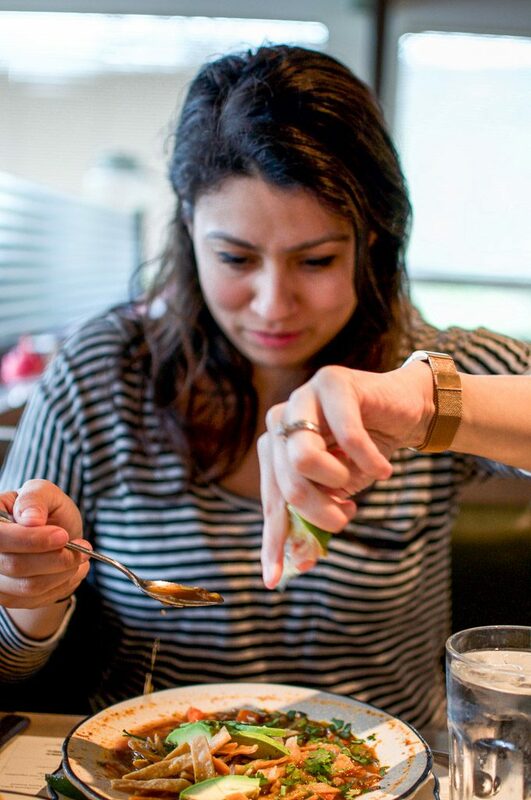 She is very passionate about her craft and you can tell with your first bite! The love she pours into her food and making people feel welcome is wonderful to see. It’s in the cute “Dr. Seuss-like” town of Tannersville. 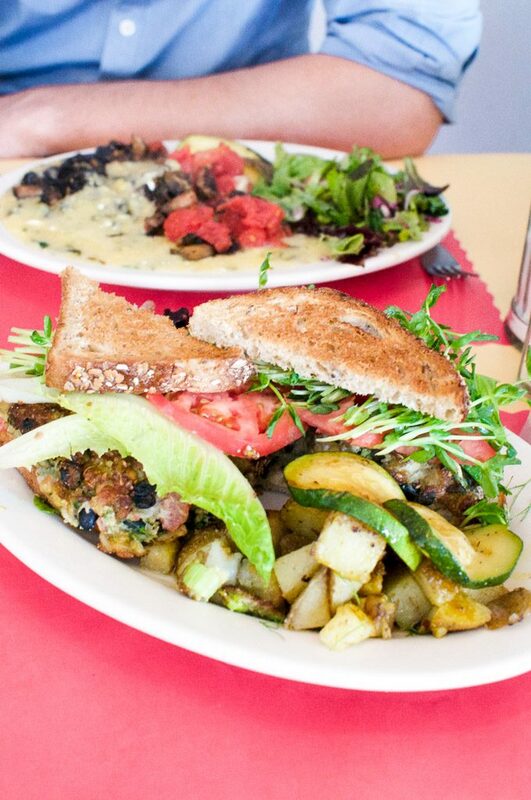 I had the best veggie burger with curried potatoes ever and Massimo, my husband, had her grits that he just couldn’t get enough of! The café is also unique that the floor is uneven, giving it its name and charm!! 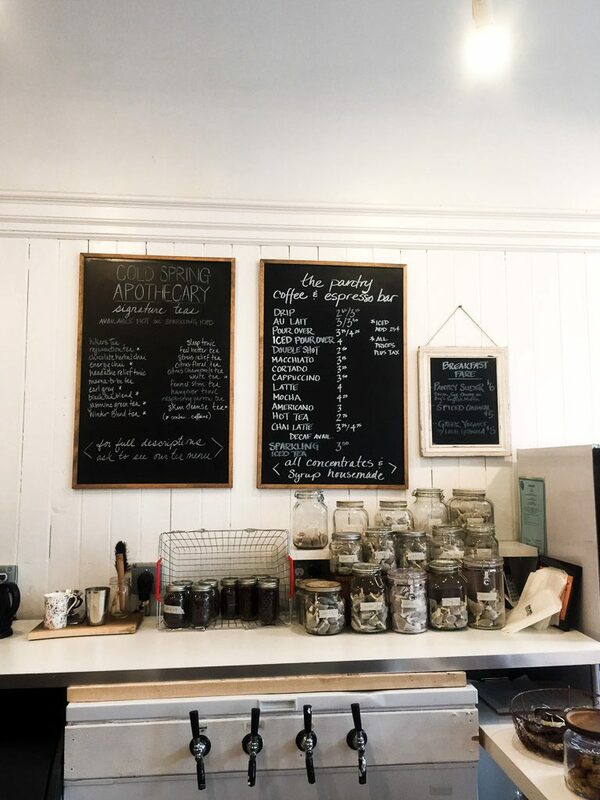 Try her baked goods – they all looked amazing. 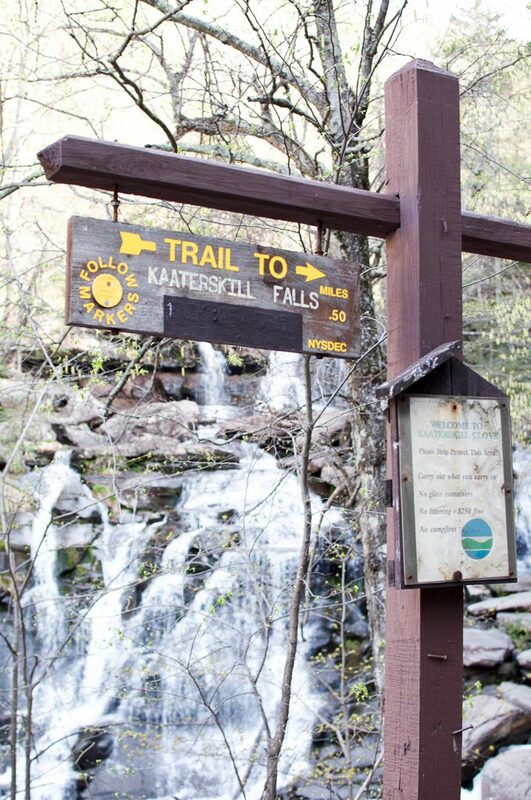 Kaaterskills Falls: Allow 2 hours for this scenic hike. Parking is at an overlook and you’ll need to (safely) walk on the side of the road to get to the start of the hike, but it is absolutely beautiful. It starts out steep with some rock climbing, but then it gets pretty flat. The waterfall is the tallest in NY state and as you approach it, I hope it leaves you in a moment of awe and bliss as it did for me; truly humbling. 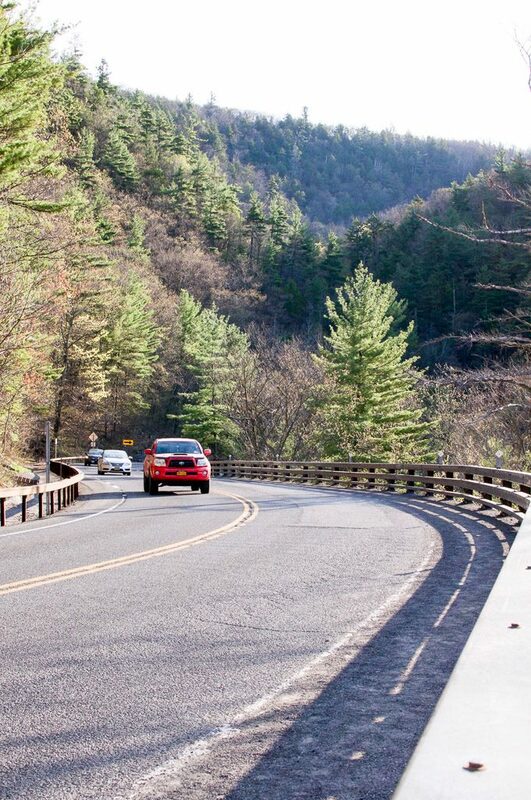 Kaaterskills Falls Viewing Platform: Alternatively, if you don’t feel like hiking, you can drive to the top, park your car, take a 5-10 minute walk (follow the signs!) 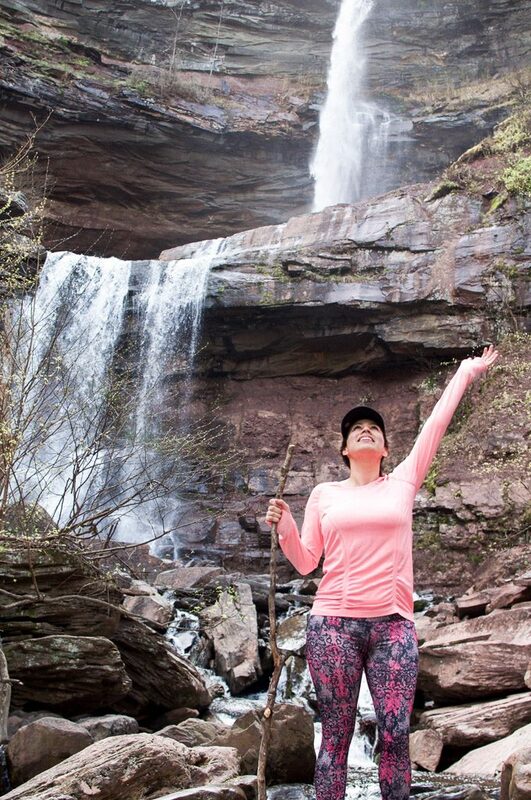 and you will reach the beautiful Kaaterskill Falls overlook that not only shows you the waterfall from above, but also gives you a beautiful view of the mountains. North/South Lakes: I am so happy that the lovely staff at the Emerson recommended this to us! It was quite the beautiful experience to walk alongside the lakes and just sit and be thankful for life! Rent a kayak, canoe or paddleboat and enjoy the beauty abound. The Town Tinker Tubes: Love tubes and a little bit of rapids (a.k.a. seeking a little adventure)? Then set sail on your tube as you go down the Esopus Creek, enjoying yourself getting bounced around a bit for a fun water adventure sure to bring you tons of laughter (at least, it would for me!). FYI: This isn’t your regular lazy river ride. Open in the summer! Bear Creek: Who doesn’t like a little innocent game of mini golf once in awhile? If you’re looking for something with more movement, this place also offers horseback riding and other activities! 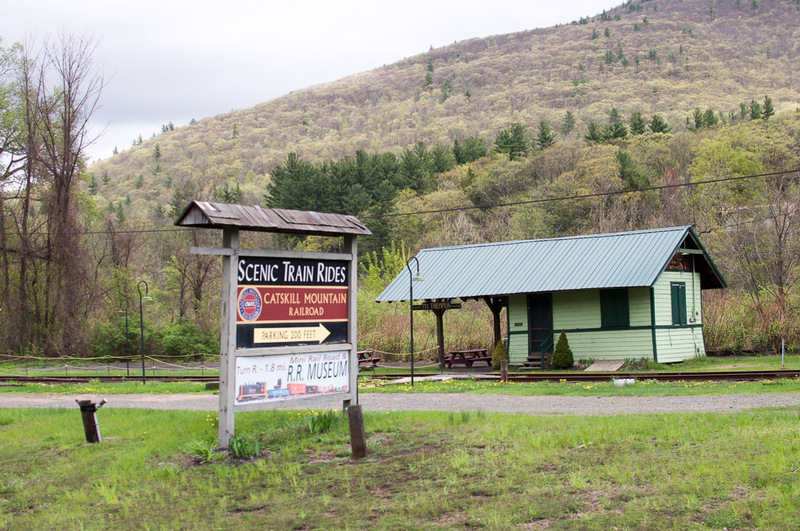 The Scenic Train Ride by Catskill Mountain Railroad is open year-round on select weekends (check the schedule!) and offers you the opportunity to ride in an open-air car (or you can go inside if you choose). 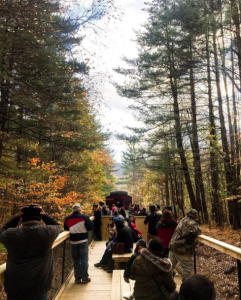 We have done this train ride in the fall amongst the foliage and it was absolutely beautiful (bring a sweater, though). Unique rides for spring, summer, fall & winter! Bring your camera! 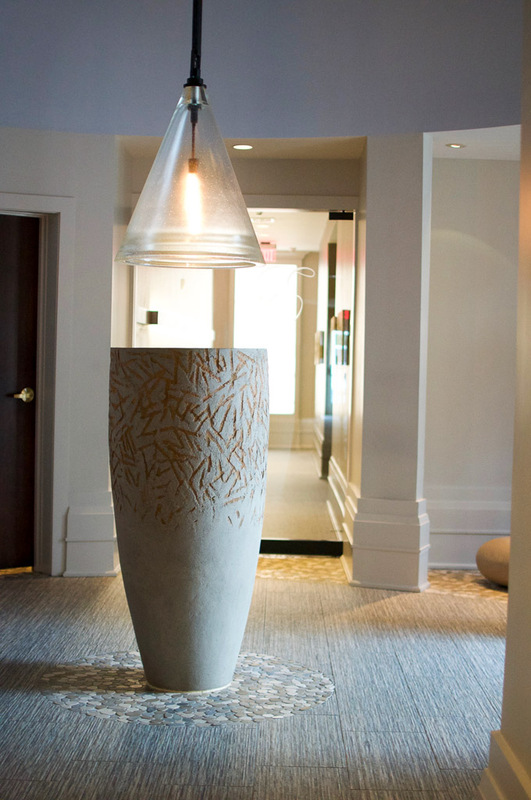 The Spa at the Emerson: The moment you walk in you feel instantly calm. 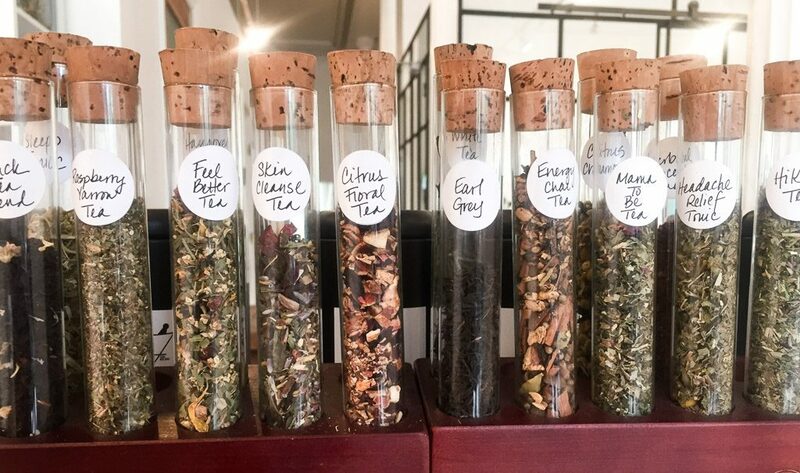 Sip on mint water while you get your nails done or book a massage that will melt your stress away! 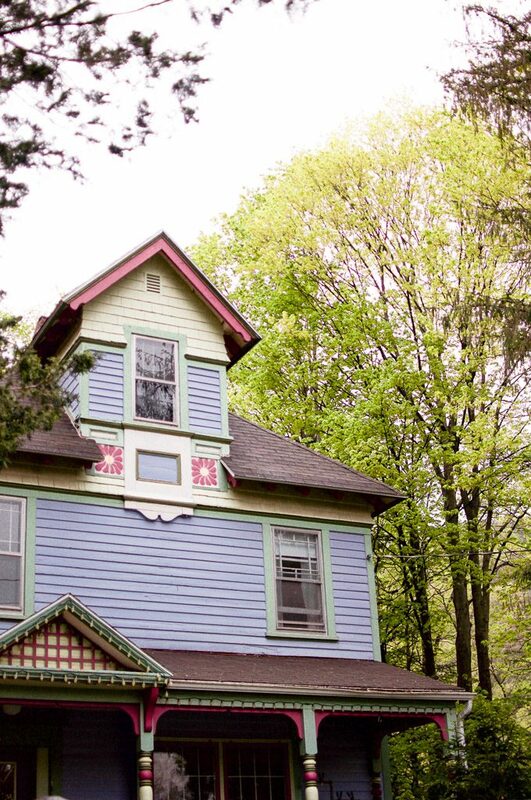 Catskills Yoga House: Take a moment to focus on yourself, your body, your breath. Your inner light will thank you. 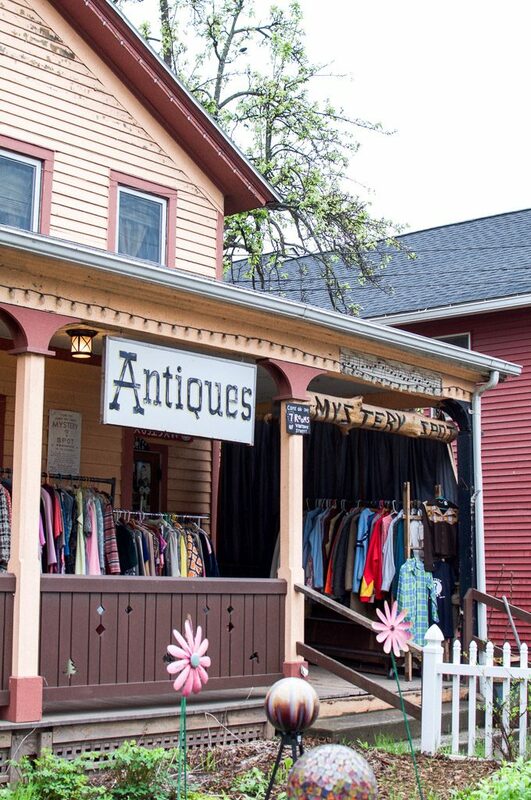 Antique shop in Phoenicia or Tannersville. Brewery to open this summer! Check the events calendar for some neat weekends up ahead like the Cupcake Festival & BBQ Fest! 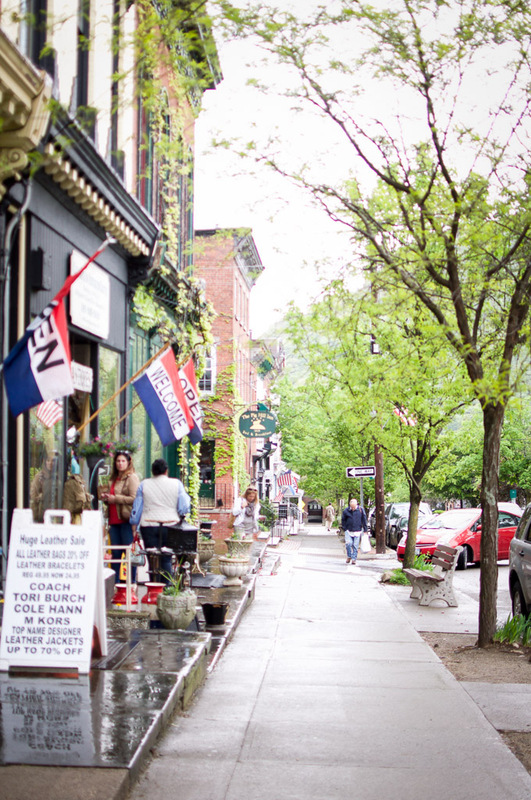 On your way back down, make sure to drive by the town of Saugerties and check out all the cute houses- I couldn’t get enough! Special thanks to the Emerson Resort & Spa for hosting me! All opinions are my own. Please feel free to leave your questions/comments below! I will admit, the past couple of weeks have been very exhausting. Between work and everything else in between, it seems like it has just been non-stop. I’ve found that at times, like a normal human, you start to get down, focus all of the ‘wrong,’ and lose the reason why you do the things you do. People with anxiety tend to always think in the future and look to the current situation as being caged in. But here’s the thing, you’re not caged in. The current moment, the troubles and obstacles in your way right now aren’t forever– they’re temporary. Sure it’s hard when you’re going through it, but it’s important to realize that it’s in the present moment and that things will get better and work themselves out. You need to stay positive. Breathe in the fresh air and let the frustrations out. It helps you regain yourself, it helps you understand that you *are* in control. Getting back your confidence is important and that’s what’s going to propel you to continue on through the difficult and take you to the better. I welcome you to take a deep, long breath right now through your nose. C’mon, right now. Breathe in. Pause. Hold it for a couple of seconds. A couple more. Hold all of that bad mojo within you. And SLOWLY go ahead and start to RELEASE it on out through your nose. Slowly. That feeling at the end, that’s positivity. That’s confidence. That’s you telling you that you’ve got this. 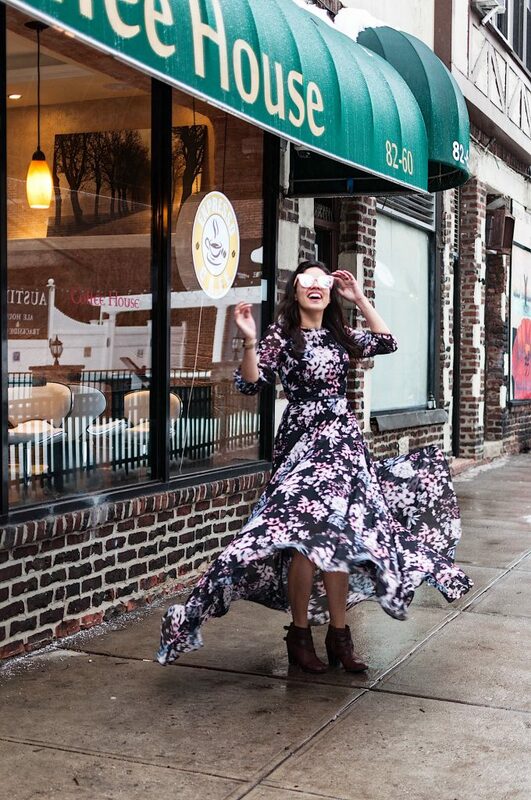 Shop Now: Cute Spring Dresses! 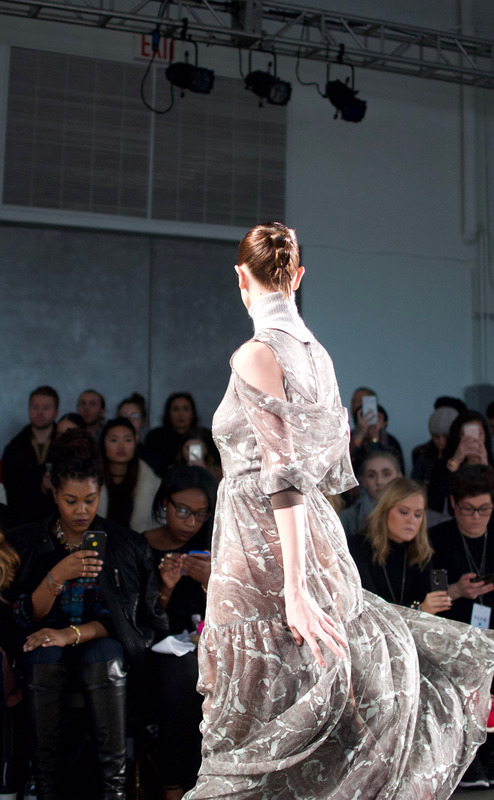 I absolutely fell in love with some of the maxi dresses I saw during NYFW this past week, including some personal favorites from designers like Verdad and Leanne Marshall. 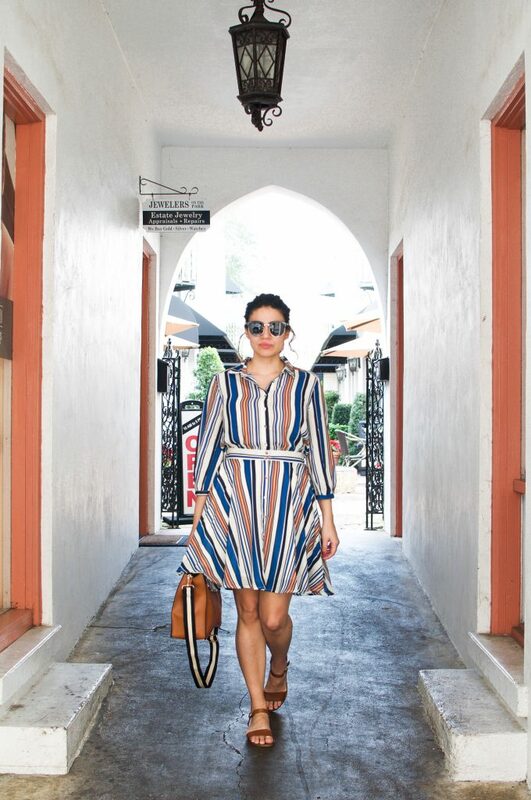 All in all, the shows had me super excited for the spring season and had me searching for cute dresses every night! 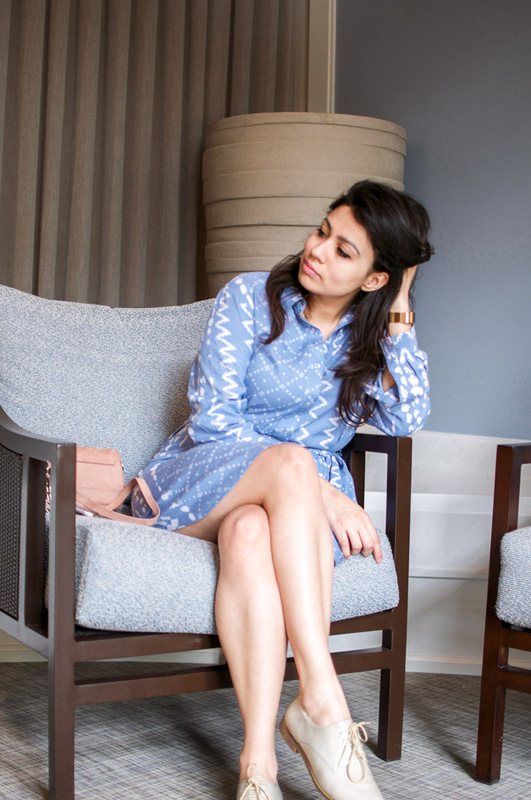 Wedding season and those it’s-finally-sunny-let’s-do-an-outdoor-brunch gatherings are coming upon us soon, so be prepared by starting to look for outfits now, in a timely manner, and you will save yourself the rush and headaches later! Below you will find some of my favorite picks that I found out in the digital world (I’ve already ordered a few! ;)). 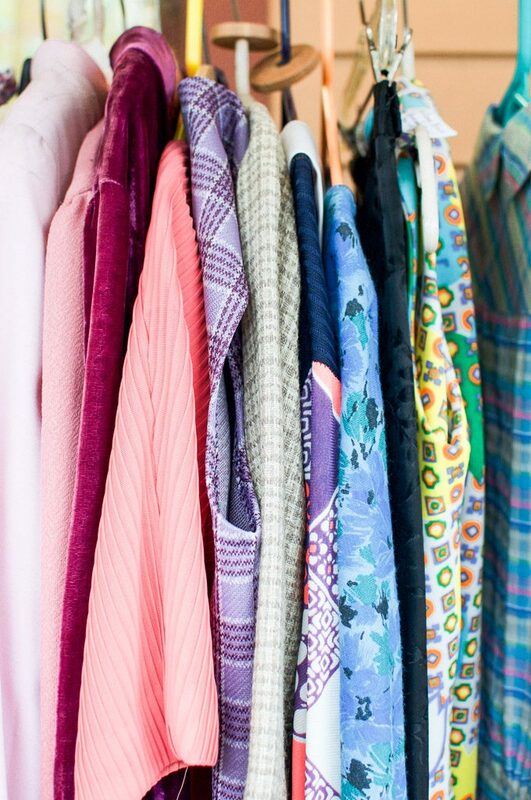 Look to infuse your wardrobes with some key fashion pieces you can wear throughout the spring and into the summer that will give your closet a little bit of a ‘pop’ and ‘romance.’ Happy shopping! :). Ever had one of those moments where you just had a good hunch about something and, without saying anything, someone confirms it for you? Yep, that was me in Winter Park. 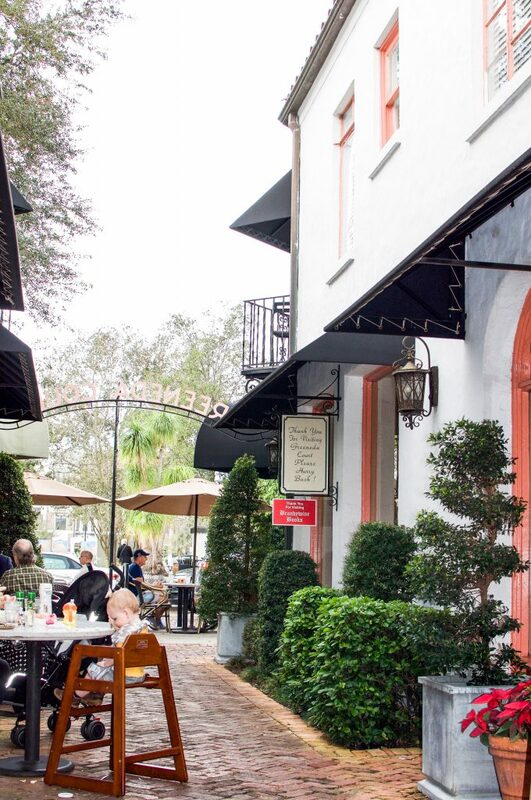 As my husband and I were having breakfast one morning, two girls were at the table behind us chatting when, all of a sudden, one exclaimed, “This is great, no one knows about this place, you’d never think this was in Orlando!” I couldn’t help but smile. 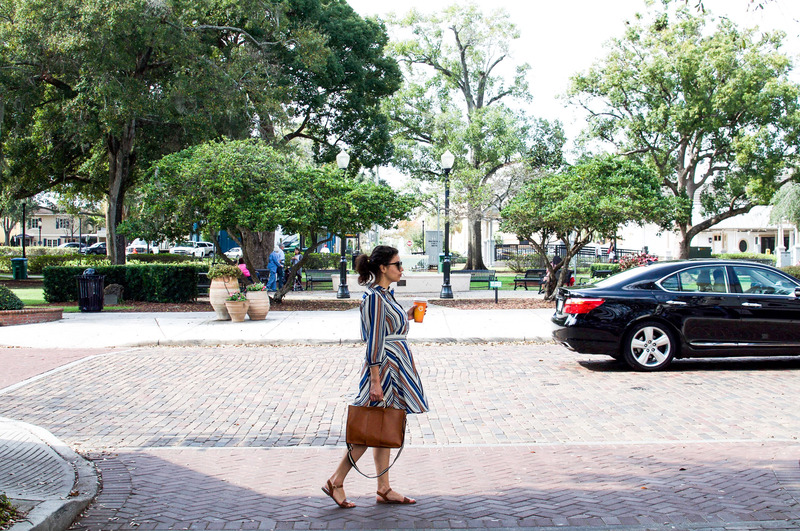 I mean, in my research to bring you, my lovely readers, the next hidden treasure of a city, Winter Park was so promising that I booked a flight from NYC, got on a plane, rented a car and came to explore the beautiful city for myself. And, boy, oh boy, how I was quite impressed! 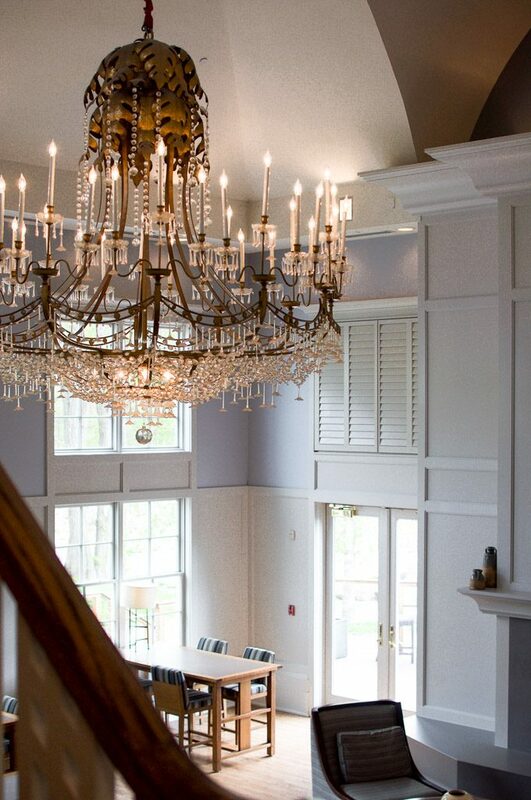 Keep reading for some highlights and tips for your next stay! 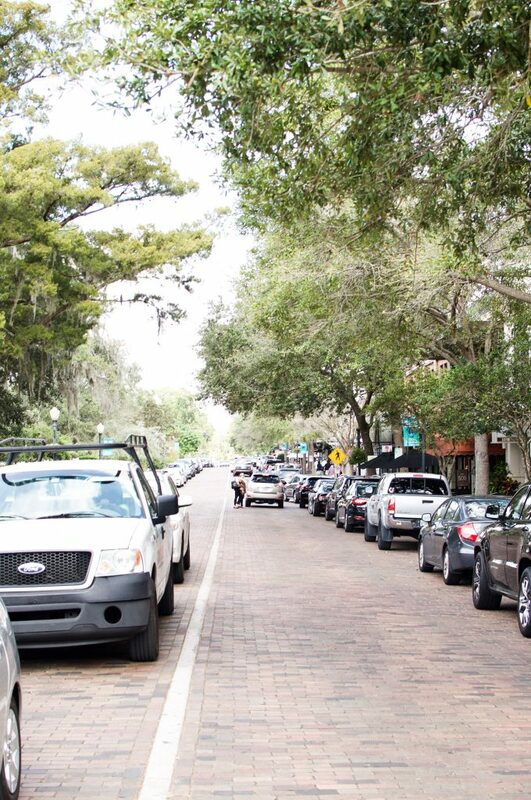 Winter Park was founded by two northern entrepreneurs in the late 19th/early 20th century, who wanted to create a ‘getaway community’ for fellow northerners who preferred a warmer winter. Interestingly enough, tale has it that it was actually one of their doctors that initially ordered them to fly down south. Goes to show you that you should always follow doctor’s orders ;). 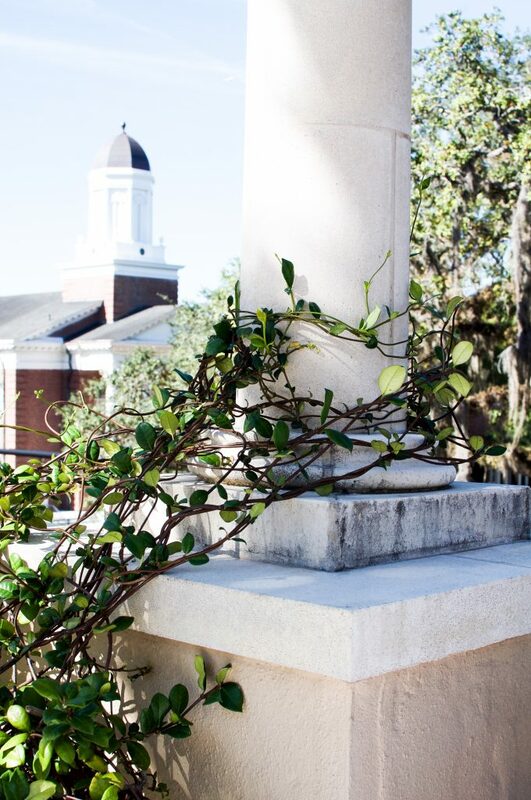 The city is home to Rollins College, rated the #2 top college in the south, houses one of the nation’s most beautiful campuses, and is actually the alma mater to Mr. Rogers! 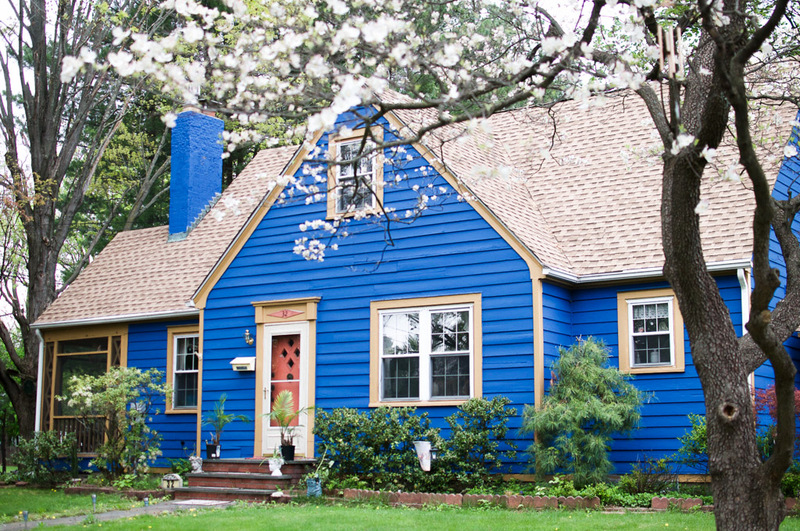 We, literally, were spending time in what used to be Mr. Roger’s neighborhood (dreams do come true!). 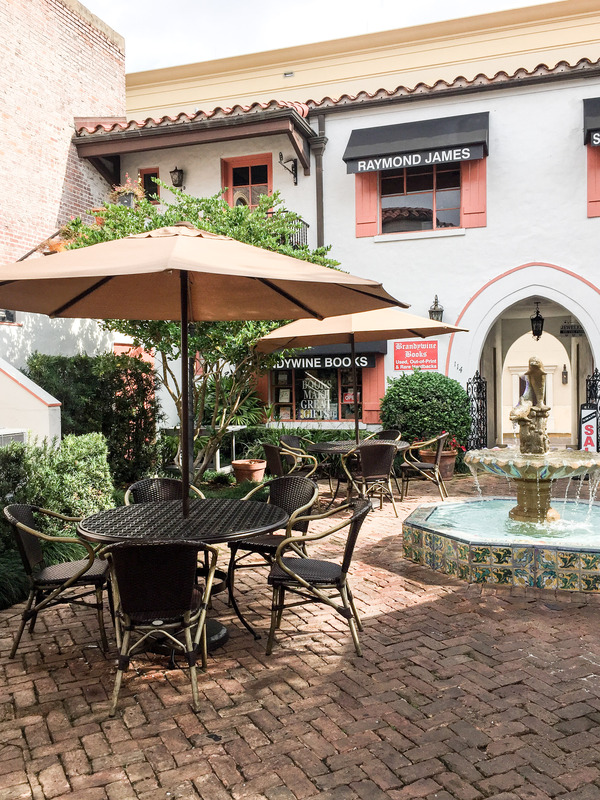 With lots of fun shops, museums, restaurants, parks, beautiful homes and lakes, Winter Park is the perfect destination to indulge in the beauty of nature and retreat at a very calm, yet inspiring, pace. 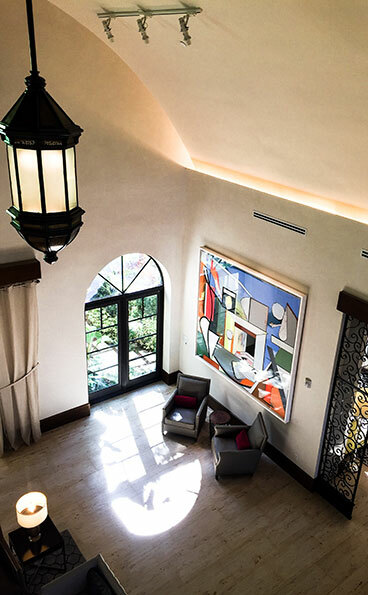 The Alfond Inn: A very sophisticated, comfortable and inspiring hotel; you can take a dip in their rooftop pool, exercise in their state of the art gym, or just roam the hallways on every floor for your very own museum tour. No, really, the hotel is actually an extension of the Cornell Fine Arts Museum that houses around 300 pieces of rotating fine art! 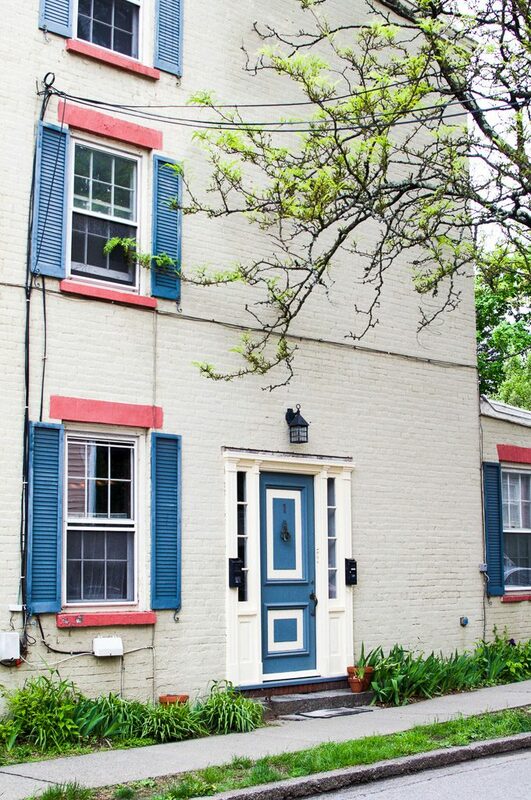 It is walking distance from the very popular Park Avenue, has the friendliest (and most knowledgeable) staff, and is pet-friendly. We were graciously hosted by the property and wouldn’t think twice about staying here when back in town! 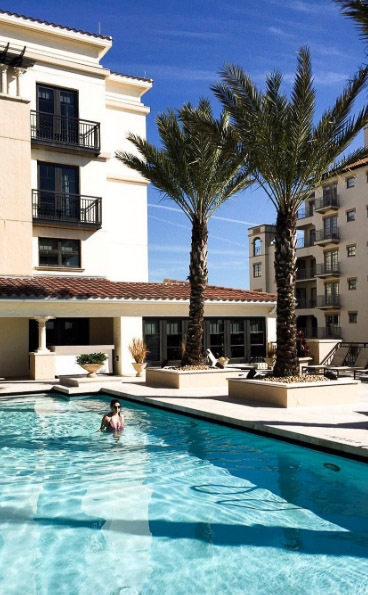 Not only was the property modern and beautiful, boasting a well-maintained outdoor area, inclusive of a firepit for those chillier nights, but the best part is that your stay at the Alfond Inn helps send someone to college. Yes, you read that right. 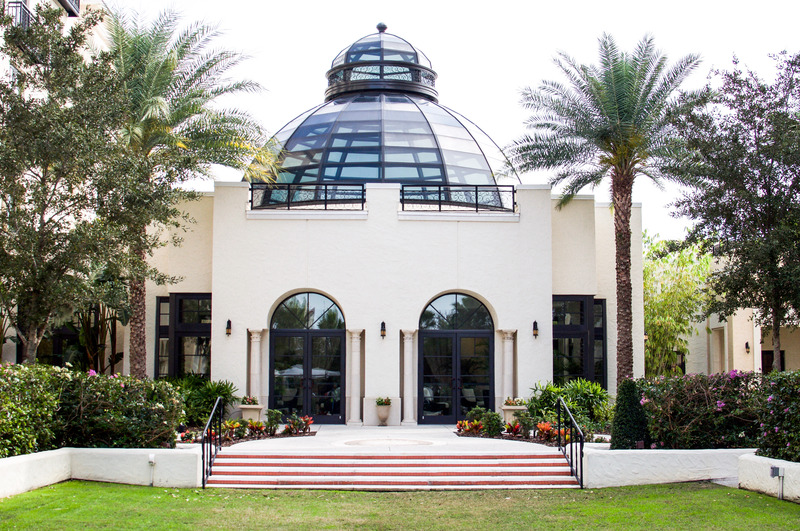 All net profits made by the hotel go towards helping award selected students at Rollins College with full scholarships. It is one of the most philanthropic things for the education sector that I have ever seen a hotel do! They also host exciting events like jazz under the stars and have fun packages & specials that are sure to make your stay pleasant and worthwhile. Did I mention they’re pet friendly?! :). Mon Petit Chéri: Great spot for some French pastries (you know the Francophile in me is always seeking them out!). 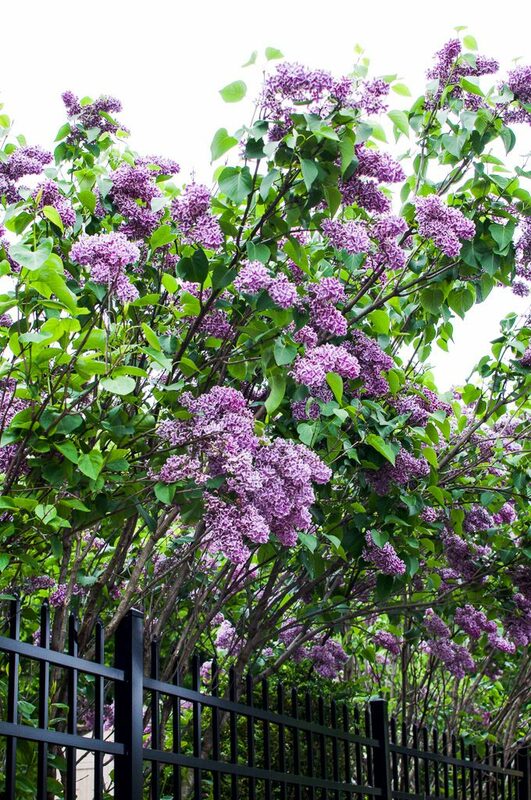 Enjoy them out back in their outdoor patio, complete with greenery, sunshine and light French music to set the mood. 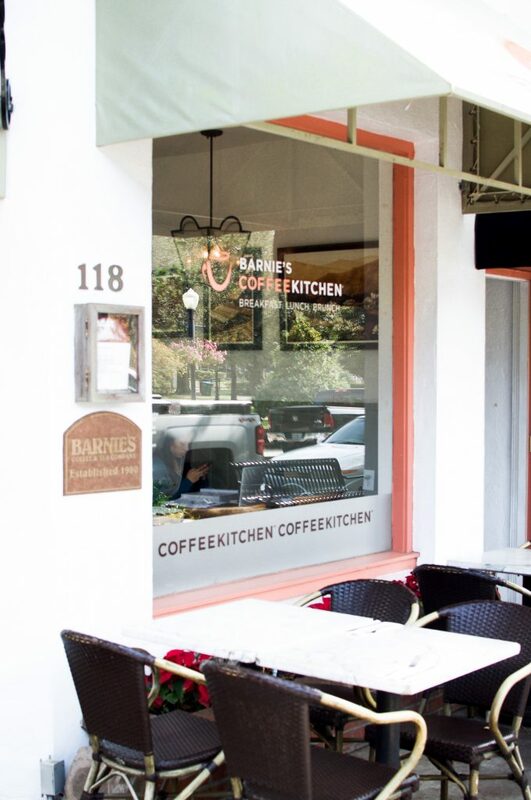 Barnie’s CoffeeKitchen: We went in for brunch and were very happy with our meal. The avocado toast (because how could I not?) was delicious and my husband had some very tasty tacos (picture below!). Of course their coffee was good and they had a nice assortment of baked goods, too. 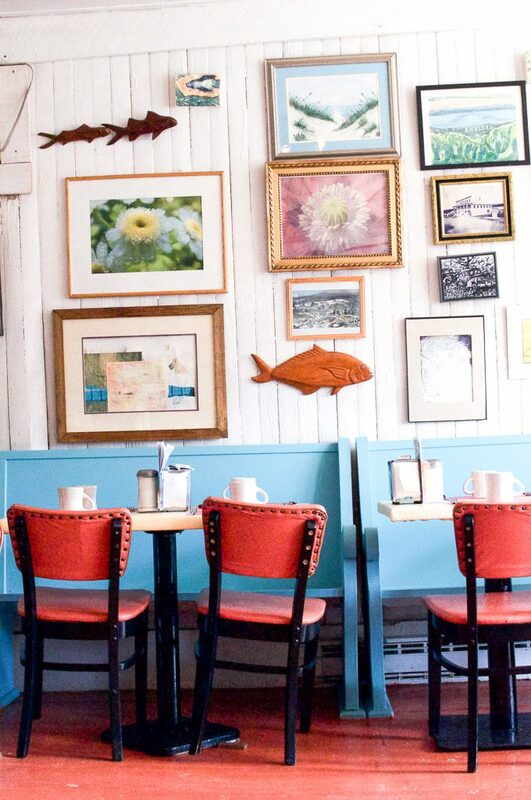 With seating both indoor and out, you’ll be sure to enjoy your meal in a relaxing environment. Rome’s Flavours: The receptionist at the hotel actually suggested this restaurant and we made sure we didn’t leave Winter Park without trying it- it was her favorite in town, after all ;). 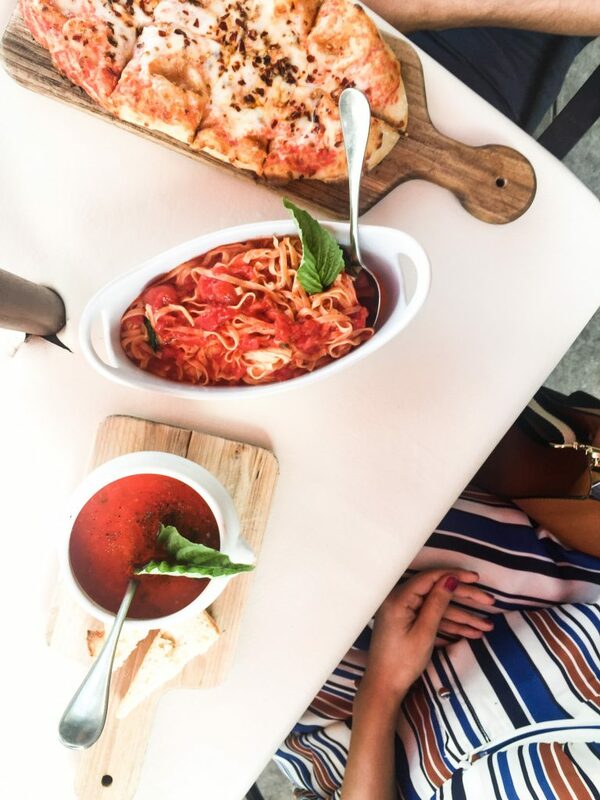 Rome’s Flavours is, truly, an Italian restaurant; especially since all of their ingredients are imported from Italy– we were told that even the water was imported! My husband, Italian, could spot the difference as soon as our pasta order came out as he said, “Yup, this looks really good, you can tell by the texture.” The pizza we ordered came with the fluffiest crust I have ever seen. All in all, the food was delicious. So thankful for the recommend! Hillstone: For a nice treat, we went out to Hillstone for dinner. 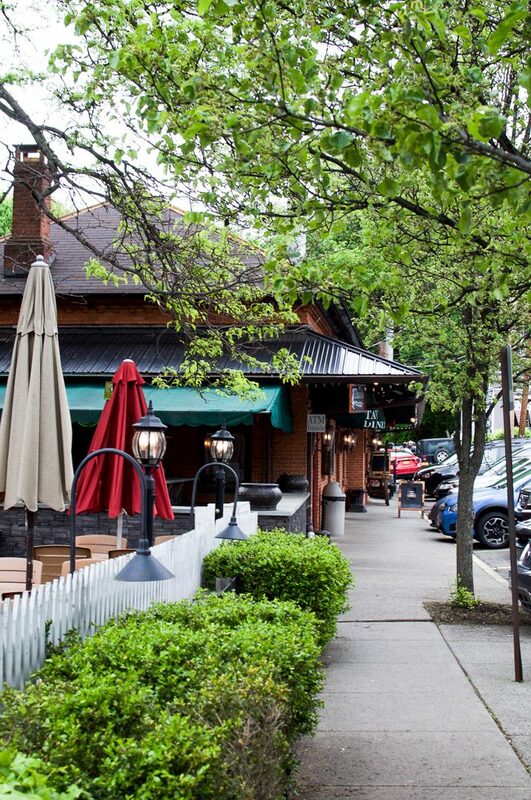 This restaurant is nestled right along the lake for some really nice waterfront views. 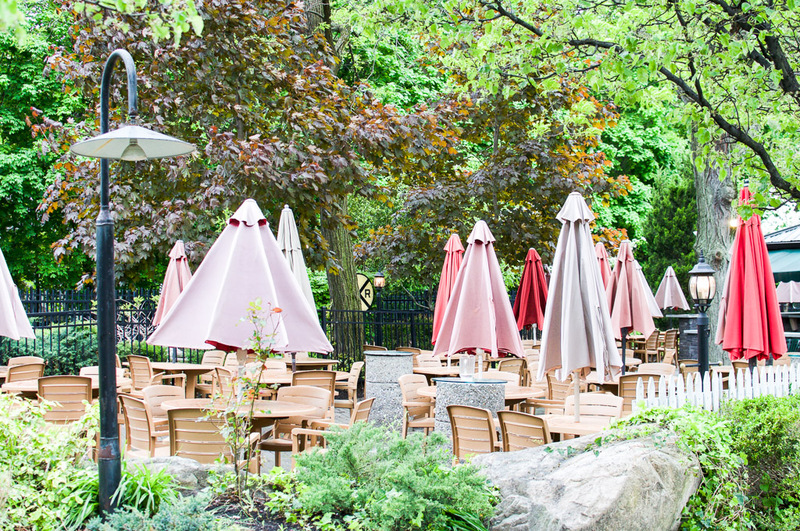 Walk in and put yourself down on the waiting list to dine outdoors– it is worth the wait. Really hungry? Have your meal indoors and then after dinner grab a cocktail and retreat to one of their seating areas outdoors. My husband is quite the food critic and said that their steak ranked top 2 on his list of all-time. Great service and great quality food. Bosphorous Turkish Cuisine: While we actually didn’t get a chance to eat here, there was a pretty large crowd whenever we walked by; had we more time we definitely would have popped in! If you make it in, please let us know how it was! 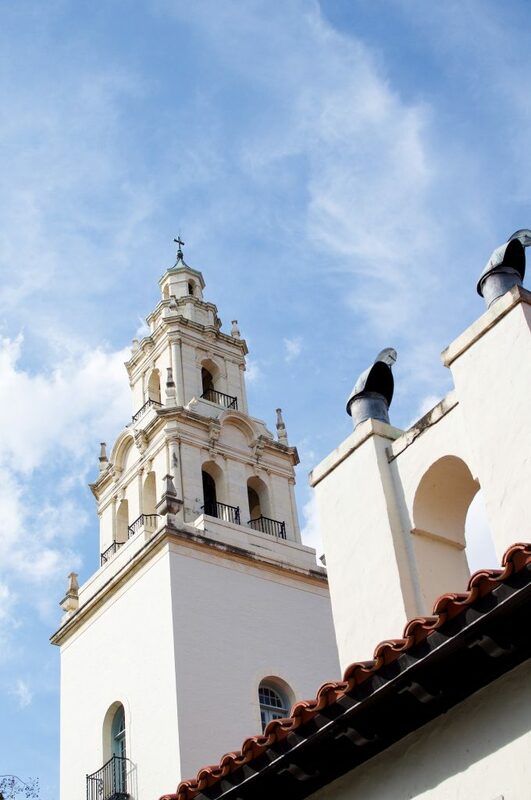 The Cornell Museum of Fine Arts is situated on the beautiful, beautiful, beautiful campus of Rollins College (remember, an extension of the museum’s collection is located at the Alfond Inn). Through a generous donation to the school, the admission is free to the public and has some collections. 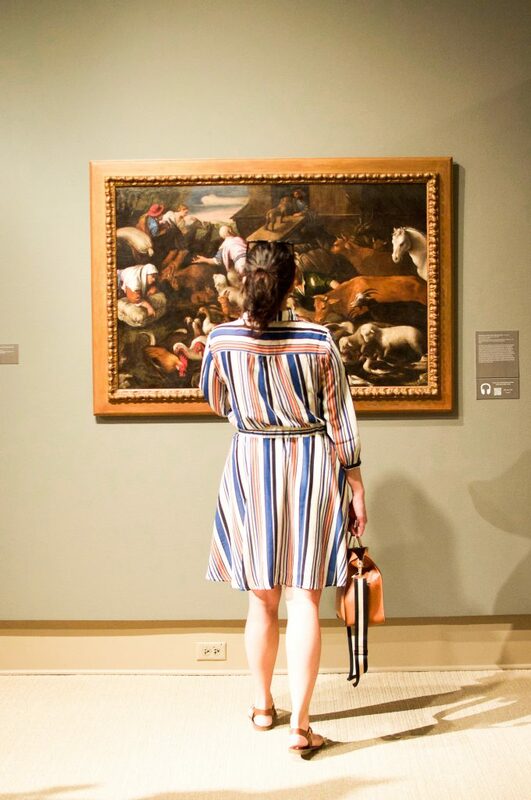 We saw the museum’s art offering in just under an hour, which is great, because you can fit in another great museum into your itinerary, too! Definitely check it out. The Morse Museum: If you love the Tiffany stained glass works at the MET in NYC, then you’ll love this museum as it is home to a very large and comprehensive collection of Tiffany’s stained glass artwork, including other pieces such as jewelry, paintings and pottery. They also hold other American works of art. 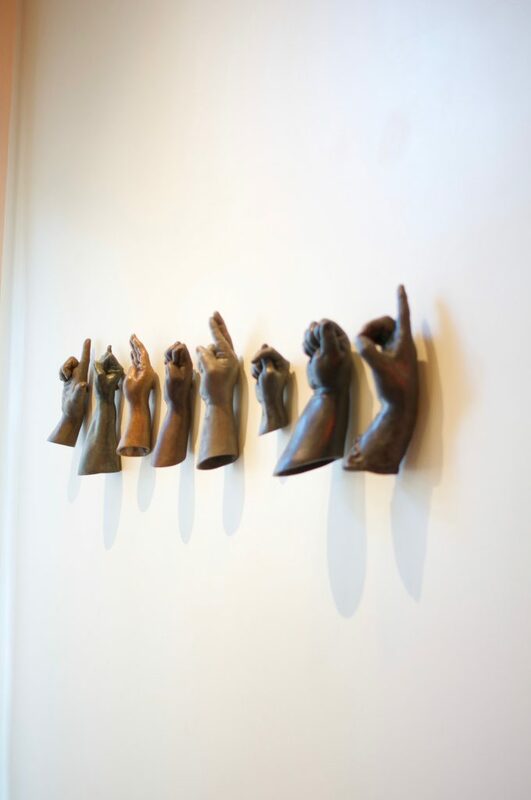 Check out their site for current exhibitions! 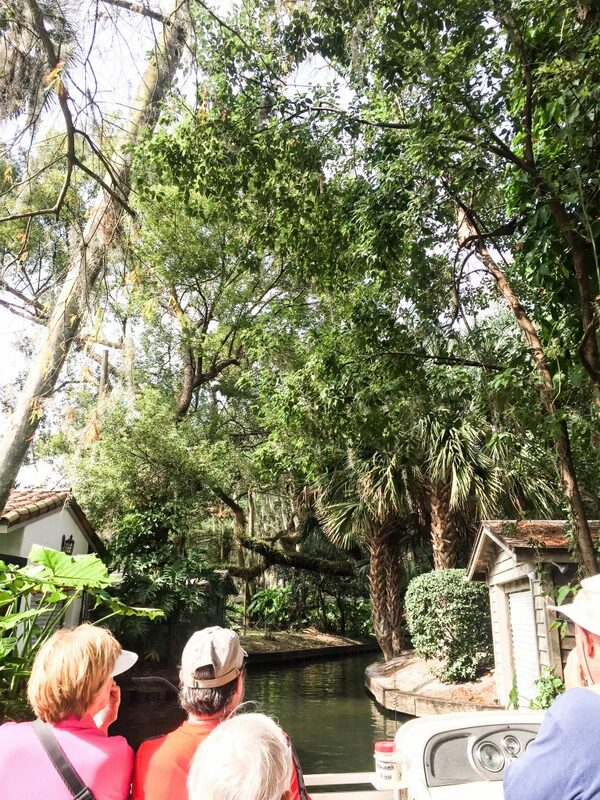 Scenic Boat Tour: Start on Lake Osceola and traverse multiple local lakes while on an open-air boat as you go through beautiful canals, covered with greenery and Spanish moss hanging to serve as beautiful décor, all by mother nature. 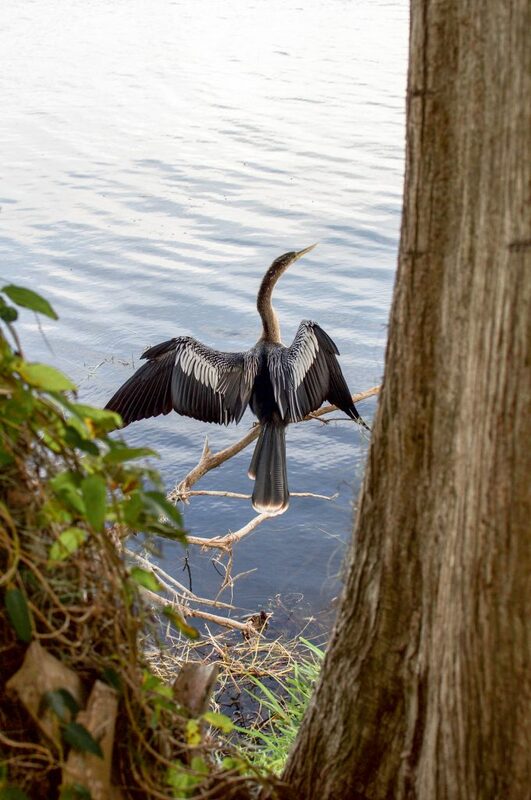 The tour is about an hour long and not only will you learn about Winter Park’s history and spot some wildlife along the way, you will also learn about the beautiful lakeside homes and their past/present owners, such as the families of Mr. Walgreens and Mr. Rogers. 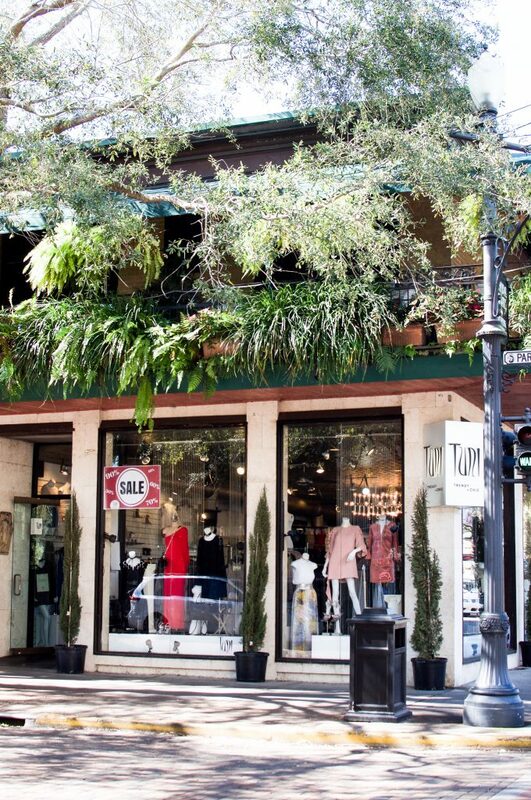 You cannot visit Winter Park without taking this tour! 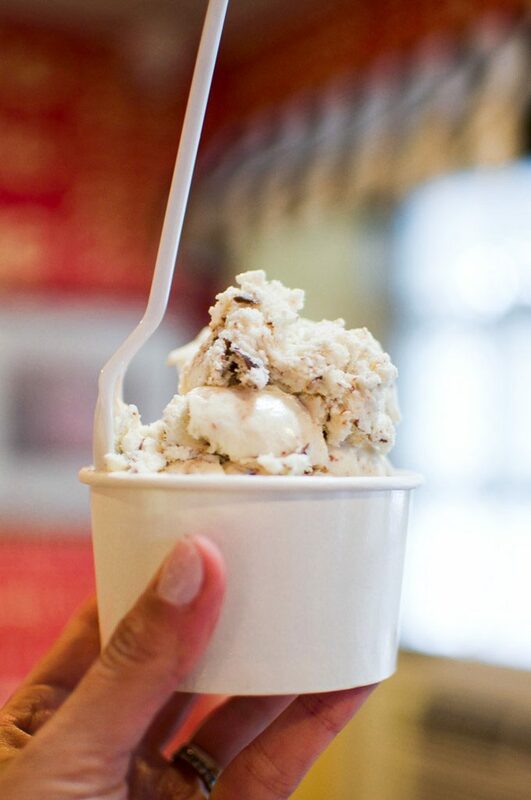 Grab a sweet treat like a macaron or gelato and head to Central Park. 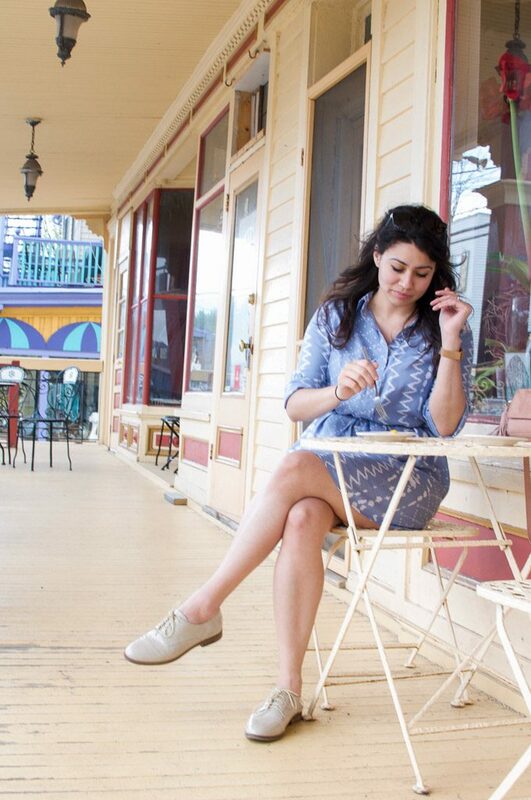 Take a seat on a bench and just take in all of the birds chirping and people-watch. 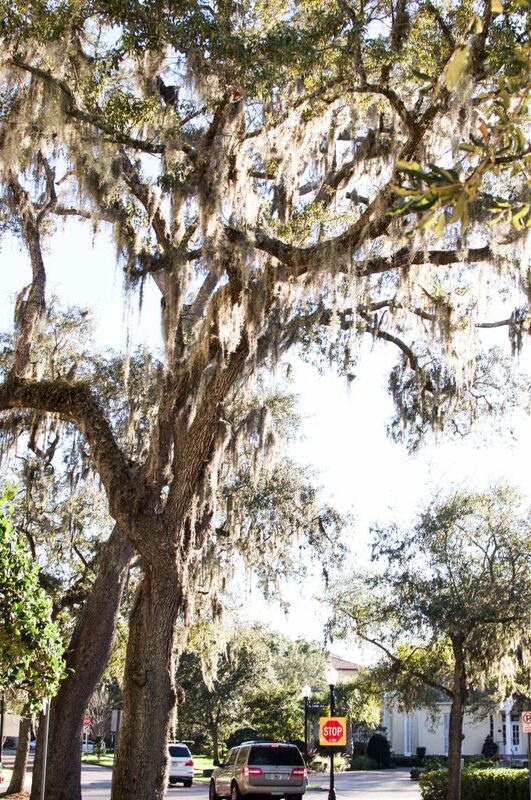 Alternatively, you can head into the beautiful Kraft Azalea Gardens and reminisce alongside the lake, while capturing some gorgeous photography. Park Avenue is where it’s at. 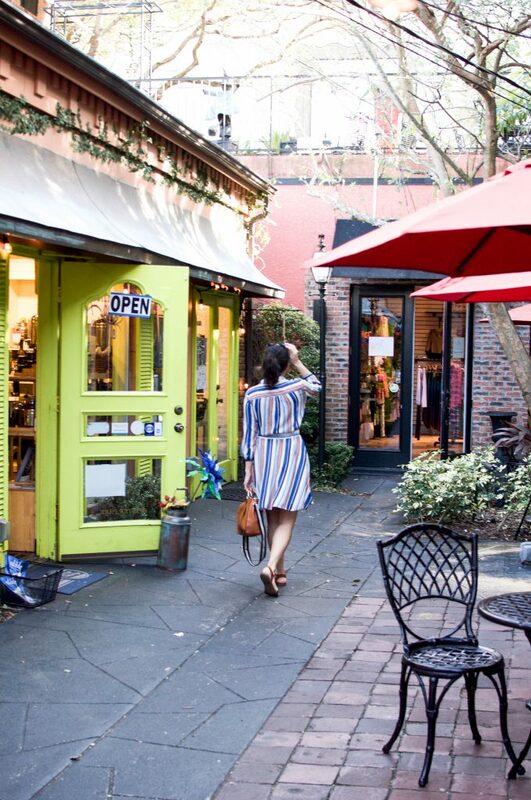 There are so many cute boutiques that carry some high-end designers, great market brands you will recognize from back home, as well as some hidden gems (like an all olive oil and balsamic store!) just a curious left -turn-into-an-alleyway away. 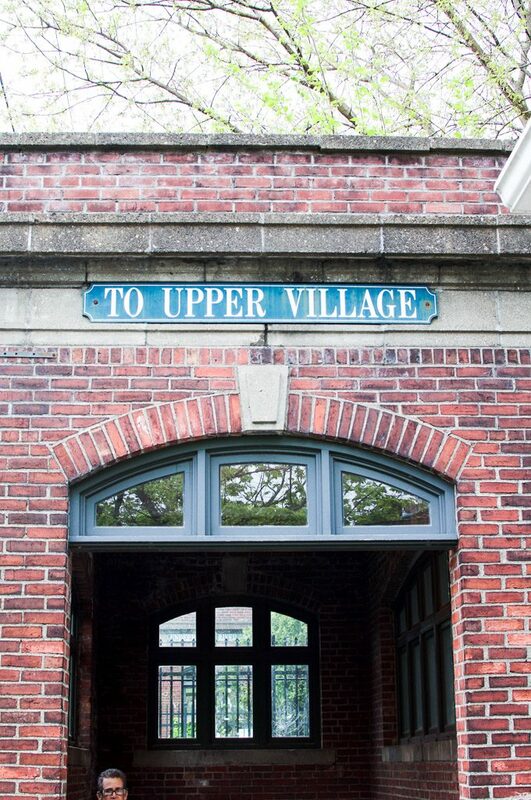 Check out their directory or surprise yourself as you stroll along the street aimlessly :). 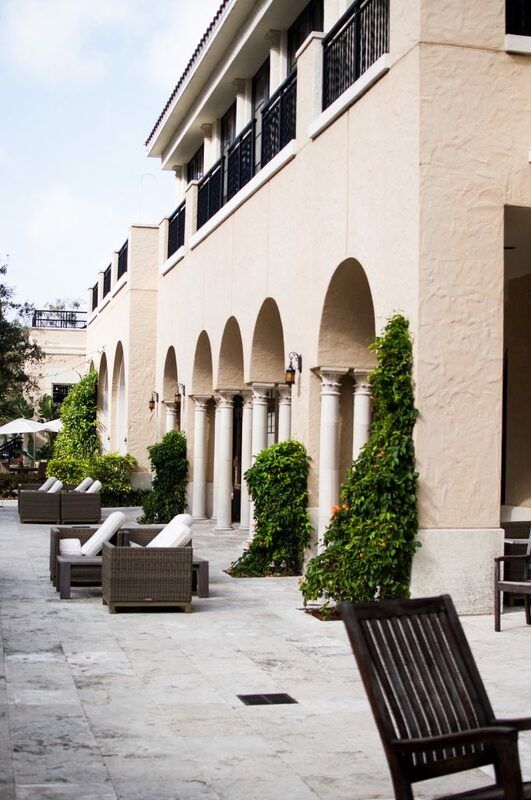 Special thanks to the Alfond Inn for hosting me. All opinions are my own. Please feel free to leave your comments/questions below!